Sorry about the lack of posts lately but life just get’s in the way at times and at the end of the day our blog is an enjoyable hobby that myself and Lisa M love to do, but we have been both up to our eyeballs with work, so something had to give. But having said that I’m back with something a little personal and not my usual form or layout of a typical beauty blog post. So go easy on me as I’m not usually one to show full body shots in not the most flattering attire!! So I’m a bit morto over it!! Firstly some background on moi! I’m a mother of 4, so you can imagine how consumed your day can be together with the added pressure of two jobs to hold down! My daily food intake would consist of a somewhat reasonable breakfast, substantial lunch, and that’s where it ended! After lunch I’d be snacking on crap food, tea, biscuits, bars or toast that was my dinner! I’d make dinner for everyone else of course but dinner would never bother me! So as you can imagine eating like this with no exercise was always only going to lead one way! The weight was gained the fitness level dropped to an all time low, my confidence became dented and I lost the motivational battle! My head was all over the place! And this is when I knew I had to change! As some of you maybe aware if you follow me on snapchat (@makeupbylisa) or Shelly (@thatssoshelly) I was kindly asked by the fabulous Michelle Malone of Thats So Shelly Fitness to participate in her 4 Week online healthy eating and fitness plan! 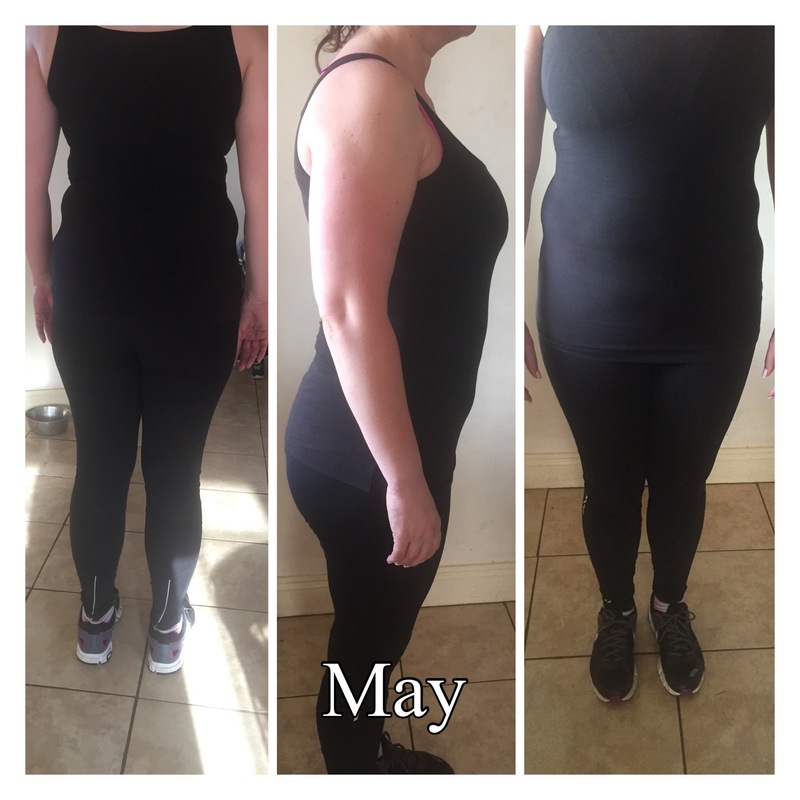 Shelly contacted me at the right time, I was ready and willing to get myself back on the fitness bandwagon and gain back what I had lost ‘my motivation’! I was looking for something that would simply slip into my busy schedule and this was perfect for me. I was 100% ready to commit to this plan, I’d simply had enough of eating unhealthy food and feeling low all the time. No more excuses, no more whinging and wining about clothes not fitting, I had to change my way and it was down to me alone to do it. Like I said on my snapchat, your head has to be in the right place to follow a plan, mine finally was. My goal was simple, to lose weight by eating healthy and regain the fitness that I once had! Shelly was a complete rock throughout this whole experience, always on hand for advise with a little motivational pep talk! Weekly email updates on food plan, prep work a receipe book with plenty of food choices! I felt very comfortable to reach out to her when I needed some guidance! So the ball got rolling and the measurements were taken! These are the first pics that I sent to Shelly ‘My starting point’. When I looked at these first pictures I was gobsmacked, I knew I’d put on weight, but I never saw myself in the way that this picture portrays. So this for me was a complete game changer! The withdrawals during week 1 were insane, OMG, I thought I’d never get through it, but I did, I pushed past it and knew if I got through that I’d sail through the rest of it. I went back to my local gym and signed up for every class I could fit in! Like everyone, I needed something to challenge me and joining these classes was exactly what I needed! As Shelly would say ‘If it doesn’t challenge you it doesn’t change you’. I started exercising almost 5 days a week and making sure to incorporate the excercise plan that Shelly sets out for you. I was delighted to feel that motivation again! Third week in I could immediately see the physical change in me! The cravings had stopped, I was eating food that I’d never heard of or wouldn’t dare try! My food shopping was now consisting of healthy foods and less treats! The shopping list that is provided by Shelly is literally pasted to my hand bag to make sure I’m missing nothing and staying on track! Excuse the hack of the above picture I was only home from the gym when it was taking (you can see the sweat) but like I said I’m baring it all! Lol!! This was my final result picture after 4 weeks! I’d lost a total of 6 1/2 Ib and 9 1/2 inches! To say I was thrilled is an understatement! I feel brilliant and confident again! I still have a bit to go, but I know I can keep it up! This wasn’t meant to be a quick fix, this for me was to completely overhaul my body slowly and steadily so that I knew I stay on track and maintain it! The inches and the toning up for me were what I physically wanted to see, my hard work was paying off and will continue to do so in the future! I have now signed up to do the 28 Day Body Blitz with Shelly and I’m thrilled to be feeling 110% better then when I started! I honestly thought at the beginning that I wouldn’t be able for it, but when I look at these pictures I can honestly stand back and say why the hell did I let myself go that far! 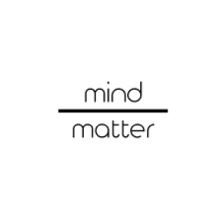 It is definately mind over matter when it comes to eating healthy and exercising! If these are the results within 5 weeks I can’t wait to see them in another 5! So ladies if this is something you are looking to do please just do it! It’s a plan that can be done at home, you don’t have to do the gym this was just my preference! Shelly’s workout plan is catered to doing it at home, it’s 1/2 hour to 45 min out of your day to make time for you! 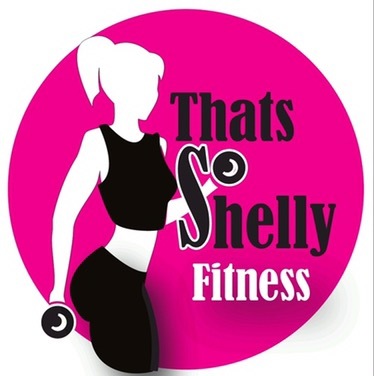 Click That’s So Shelly Fitness to see other success stories and maybe start today a fresh and new YOU! Shelly is also on snapchat @thatssoshelly for those that might be on it and looking for some healthy tips! That’s it lovelies, I hope I didn’t lose you half way, but really wanted you see and read my experience. Even when I am finished with the plan I will still continue to take my weekly measurements and pics as I really found this helped me focus on my goals. Hope you are all well and ready for the weekend, hopefully Mr.Sunshine will stick around for a while!! We have something a bit different on the blog for you today. 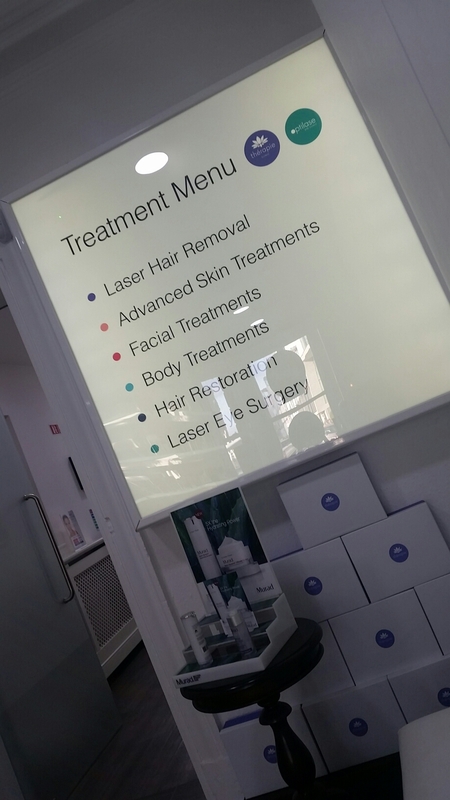 We are venturing away from the usual makeup related posts and we’re gonna chat laser hair removal. 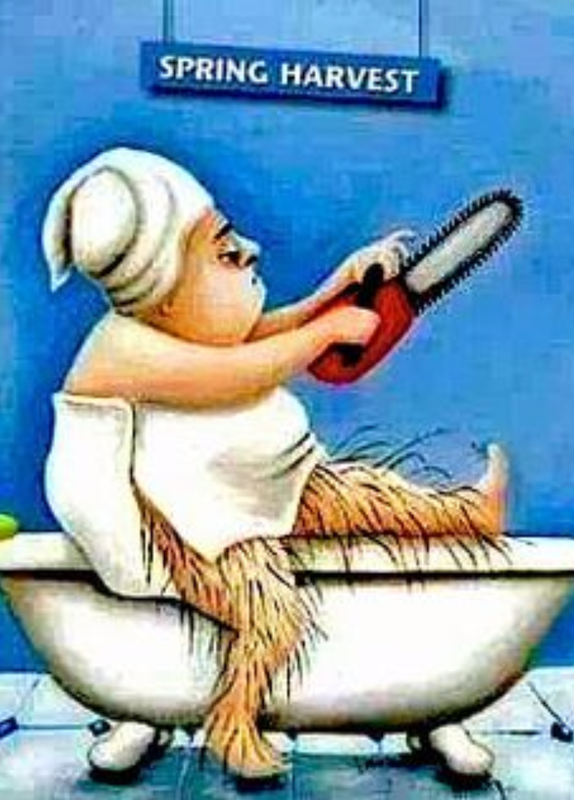 Now that spring has sprung, if you’re not diggin’ on the body hair it’s time for the annual harvest, you know the one…..time to defuzz!! We’ve been there…..Immac, Veet, Gillette, Venus, Wilkinson Sword, Nair all over the shop. But isn’t it such a chore?? I’ve never met anyone who said “Oooh Goody, it’s time for my bikini wax, I can’t wait!!”. Most of us dread the thoughts! And I always wished I never had to do it again. So that’s when I began to look into laser hair removal. Now the procedure sounds a little scarier than it actually is. Basically a medical grade laser is used that is attracted to the dark pigments in our hair and hair follicles. The laser heats the hair and this heat is what destroys the hair AND the follicle, meaning no hair can grow from that follicle again. It sounds kinda horrific but it’s a really quick and easy procedure. As our hair growth cycle renews every 6 weeks, it is necessary to have at least 6 sessions 6 weeks apart. This makes sure we get all hairs through the cycle and our treatment will be effective. 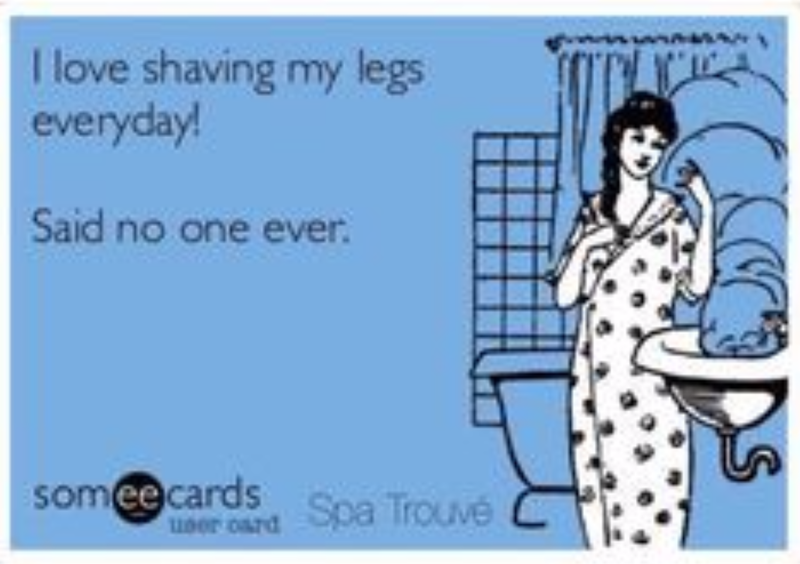 I initially started a course of laser hair removal a few years ago but it didn’t really work out for me. There was too long left between my sessions which effected the success of my treatment. I definitely noticed a difference but I wasn’t totally happy with my results. 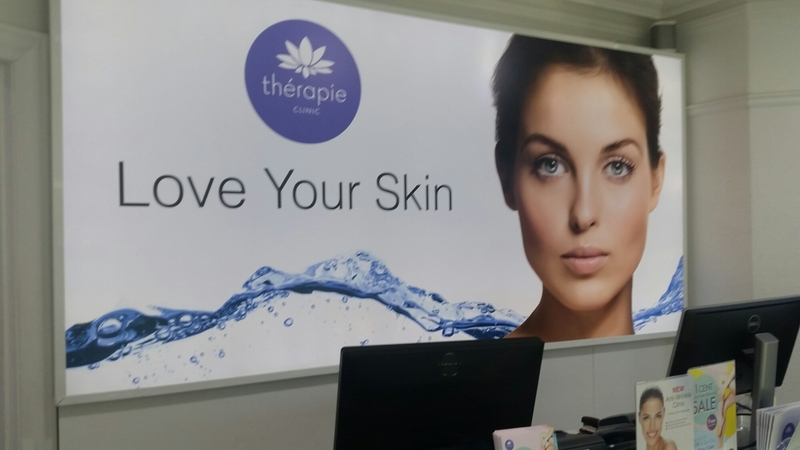 And then strolling around Whitewater one day I was handed a brochure for the new Therapie clinic opening in Newbridge…bingo. I booked a consultation there and then and decided to give it another go. Therapie clinic in Newbridge is gorgeous as I’m sure the rest of them are too. The first thing I noticed when I walked in was the amazing smell, their signature Lemon and Tea Tree scent. The place was spotlessly clean and decorated really nicely, a perfect mix of clinic and spa I thought. It’s bright and airy with some funky chill-out tunes playing in the backround…a far cry from some of the grotty, dated places I’d been to before. I had a seat in the waiting area and had a little peek at their retail section. 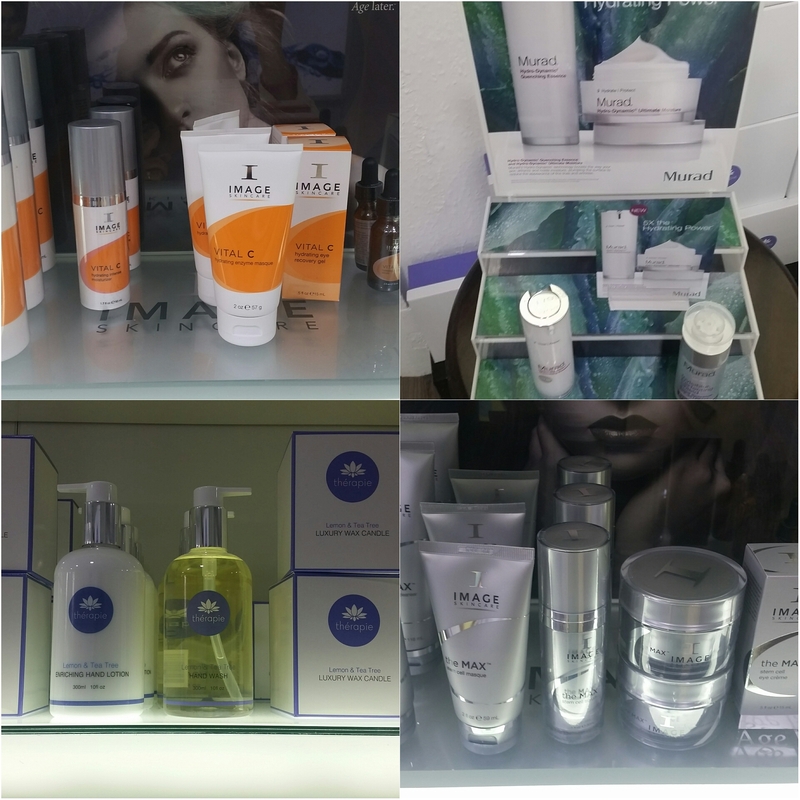 They have lots of excellent brand products for sale including Dr.Murad and Image as well as their own brand products. While I was waiting I was also offered a green tea or lemon water which I thought was a lovely touch. 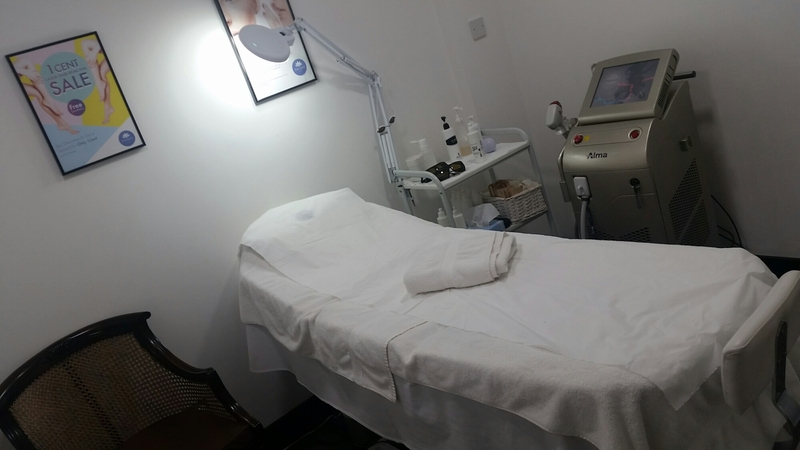 The first visit is for a free consultation and patch test. All clients have to have a patch test before their first treatment to make sure they are a suitable candidate for the treatment won’t have a reaction or sensitivity. The therapist I had for my consultation was lovely and I felt comfortable straight away. I was having underarm and bikini done and she explained everything in detail and made sure I understood what was involved and what results I could expect. So all was well with my patch test and I booked in for session one. So at this stage you’re probably all just wondering does it hurt? Is it really pain-free? Well I’m not going to lie…..it’s not that bad!! It’s definitely not the most comfortable things I’ve ever had done but I wouldn’t say it’s painful. Or even anywhere near painful. It feels like a quick light snapping sensation on the skin that lasts for a just milisecond. Some areas are more sensitive than others depending on the stubborness of the hair but honestly it’s over so quick you barely feel it. Our own sensitivity can differ also, depending on factors such as tiredness, time of the month etc…And to be honest anything that means I never have to get waxed again is totally worth it in my book. A cooling aloe gel is applied straight after treatment which is a nice relief. The aloe is recommended for aftercare at home as well as a light exfoliator to be used on the areas after a few days. So I started my treatments last year and have had my 6 sessions, all either 6 or 8 weeks apart. My therapist advised me each time how long to leave between sessions and I took her advice and booked my next session each time before I left. I’m pleased to report that after the 6 sessions the laser hair removal has been a total success. I won’t be posting before and after pics this time so you’ll just have to trust me!! I have had one top-up session after my first 6 just because I had some very light regrowth, I mean very light and very fair which is totally normal!! I’m thrilled with the results and planning on having the legs done next. My therapist for all my sessions was Sultanah. I found her brilliant, so friendly and knowledgeable and she made me feel so comfortable and relaxed at every session. I can’t remember exactly what offer was on when I booked my treatment but each session averaged around €65 bikini and €33 underarm but there was a combo deal making it cheaper. 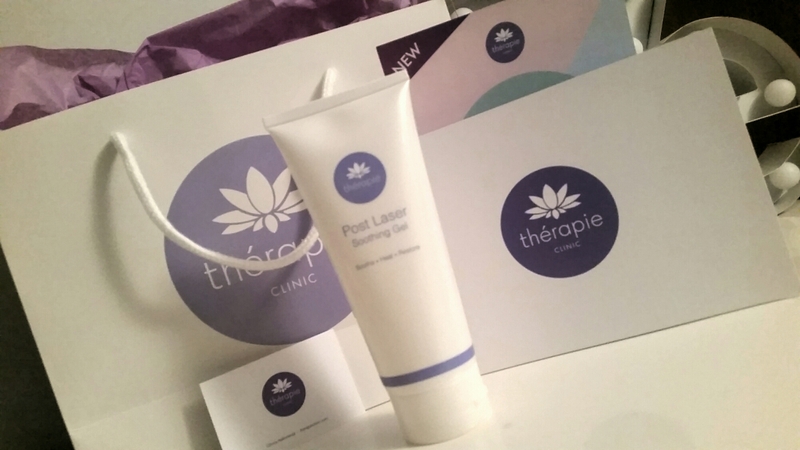 Therapie always have fantastic offers and the one at the minute is buy one area and get another for just 1 cent!! When you compare that to years of razors and waxing I know which one I prefer. So don’t deny it’s happened to the best of us where we do a quick rush job on the face and we are gone like a bat out of hell, huffing and puffing, when your 8 year old turns and asks “whats wrong with your face”?!! Eh ‘nothing’ is the response until you look in the mirror and frighten the bejeesus out of yourself! Yep we have done it and not ashamed to say it, but I bet you learned something from it, am I right? foundation should match your skin not someone else’s! 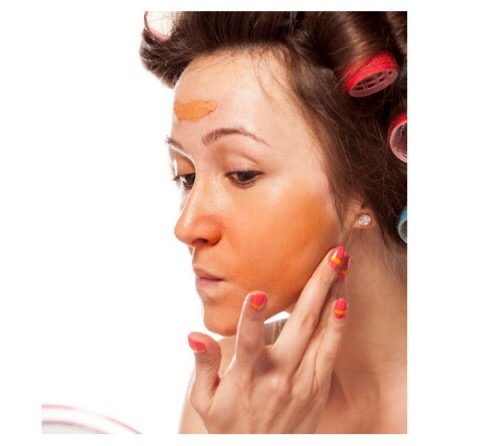 Today’s post is a quick guide on what mistakes to avoid when applying foundation. So grab a cuppa and take note! This can be the most frustrating part of makeup. Countless shades to choose from yellow, pink, olive tones, sheer to medium, full coverage, it can be so complicated to pick the perfect one to suit you. So my advise would be to always ask for a tester first, makeup counters such as Mac, Estee Lauder, etc… always have them so take advantage of this. Ask for a light, medium and dark shade to be sure you have selected one that will match you. Never test their and then because I can guarantee by the time you get home it will look completely different. The lighting in these stores are completely different to the natural everyday light, this is when and where you should be testing your foundation. I know a lot of the drugstores/pharmacies don’t offer samples but they have testers, try them on, bring a little compact mirror, go outside and see if it blends into the neck. 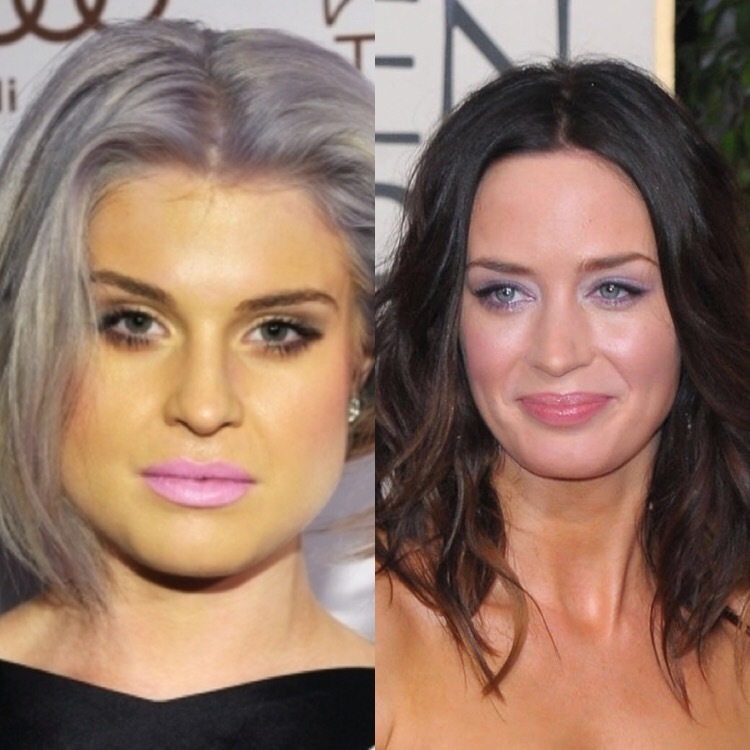 This is the only way you are going to get a perfect shade match. We don’t want to end up like this ..
To test you simply apply three strokes of the different shade samples and place from the jawline to the neck, the one that blends into the neck, is the one you should be purchasing. Obviously if you are going to be purchasing a shade for nighttime wear take into consideration that you will be possibly wearing tan. So we have our shade, but does it suit our skin type. Just because we like the sound of a dewy finish to a foundation doesn’t necessarily mean it’s going to suit your skin type. If you have oily skin you should be avoiding foundations with illuminating ingredients in them, as these will only have you looking like a shiny hot sweaty mess! Look for oil free or Matte foundations that are suitable for oily/combination skin type. The Same applies to dry skin, don’t choose matte shades or powder foundations, as these will only make your skin look dull and cakey. You need the dewy/illuminating or hydrating ingredients in foundation formulas to give you that natural glow and dewiness to the skin. Another common error is the white powder flashback ooh good lord many celebrities have been caught with this major boo boo on the red carpet! This is due to, again the flash from a camera picking up the light-reflecting particles in your makeup and giving your skin this white chalky appearance. So how do we prevent this? 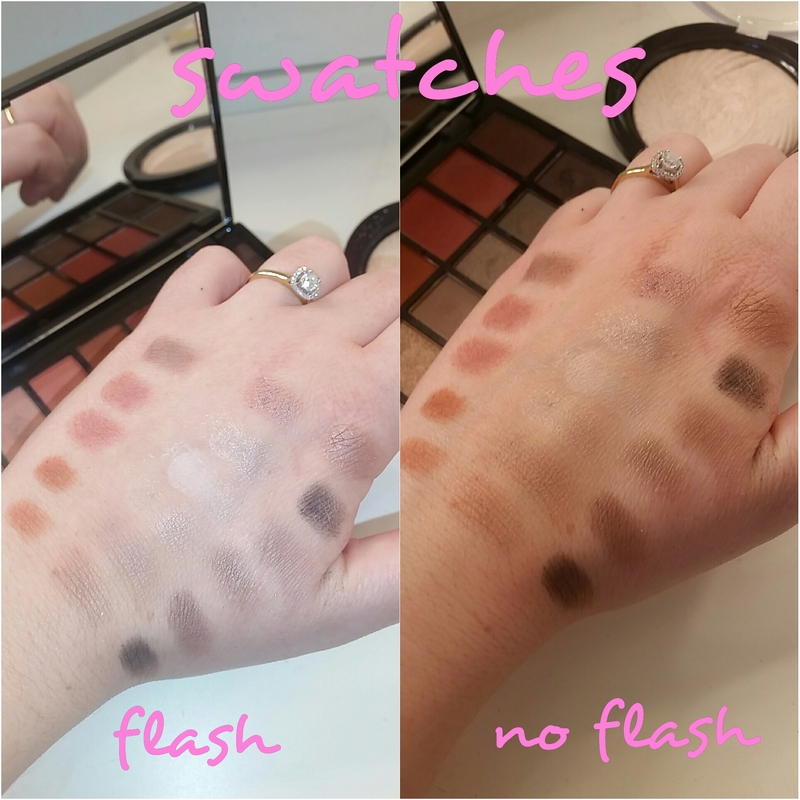 So besides sorting out the SPF issue, I am always aware of using to much illuminating products such as concealers, highlighters or HD powder as the light-reflection particles in these products can cause the (above pic) dreaded reaction from a flash, so I like to use them in moderation. Only highlighting with either or, such as, if i’m using a concealer to highlight, I won’t set it with a lighter powder i’ll opt for a more translucent shade, and only focus my highlighting on the cheekbones, bridge of nose etc… less is always more. If you are still in doubt take a sly selfie with a flash to check before you leave the house that everything is perfect. #shamelessselfie has it’s importance!! I get asked so many times about “why isn’t my foundation staying put” or “my foundation gets patchy” and the question I always ask “do you wear a primer”? 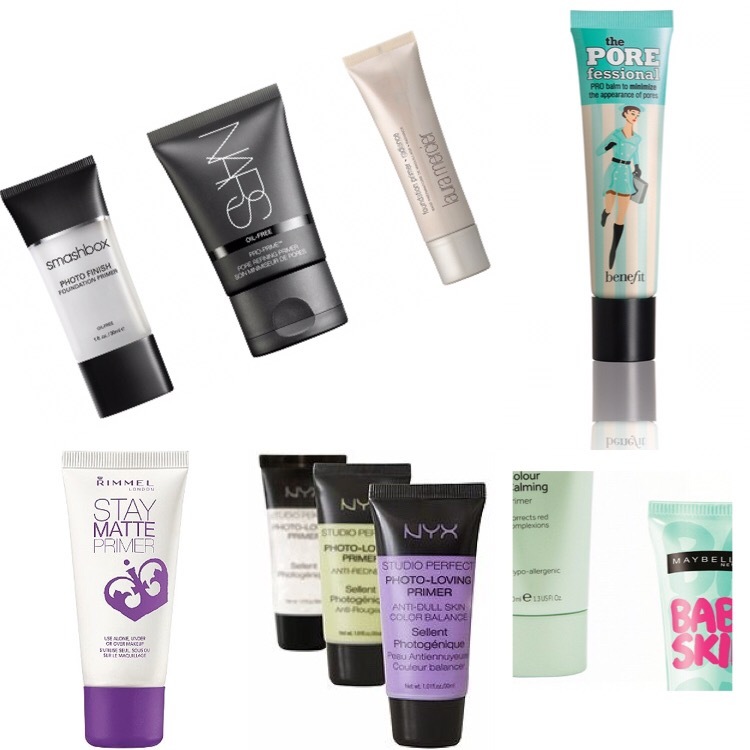 Primers can make your skin look 100 times better then without. It helps to smooth and even skin tone while also giving you a longer lasting effect on your foundation! Like foundation choose one to suit your skin type e.g matifying primers for oliy skin, illuminating primers for dry skin. All these essential products will make a perfect canvas for foundation application. Put the Hands Down Ladies! We have all done this, applying the foundation with our hands and slapping it all over the mush, but ladies let me tell you this, for a flawless finish you need to invest in some foundation tools, they don’t have to be expensive, just practical! Applying your foundation with your hands can leave streaks and patchiness on the skin, nevermind the amount of product that is wasted! Go get some brushes, work the foundation in using buffing, circular motions and you can thank me later for the results! 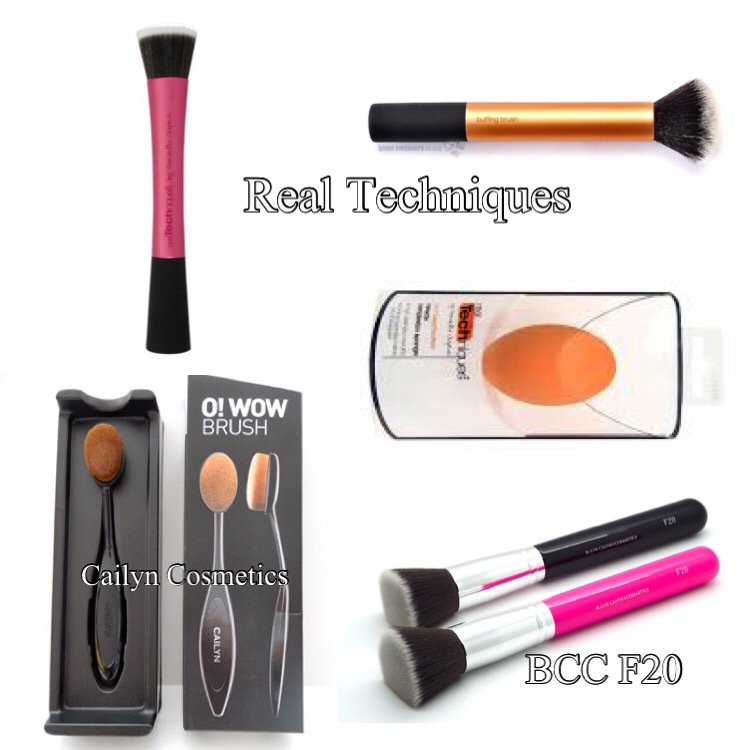 These are the foundation brushes that I tend to use to achieve a perfect flawless foundation! Once I apply with my brush I go over with my damp beauty blender to pick up any excess foundation that sits in the fine lines! This will help achieve a more smooth flawless appearance! So that’s it ladies, my take on how to avoid some major foundation disasters! Hope it helps and don’t for forget we are always on hand to answer any makeup related questions you can catch us on our Facebook page Lisas’Livin’Pretty or our snap chat makeupbylisa or lisabeth-86. 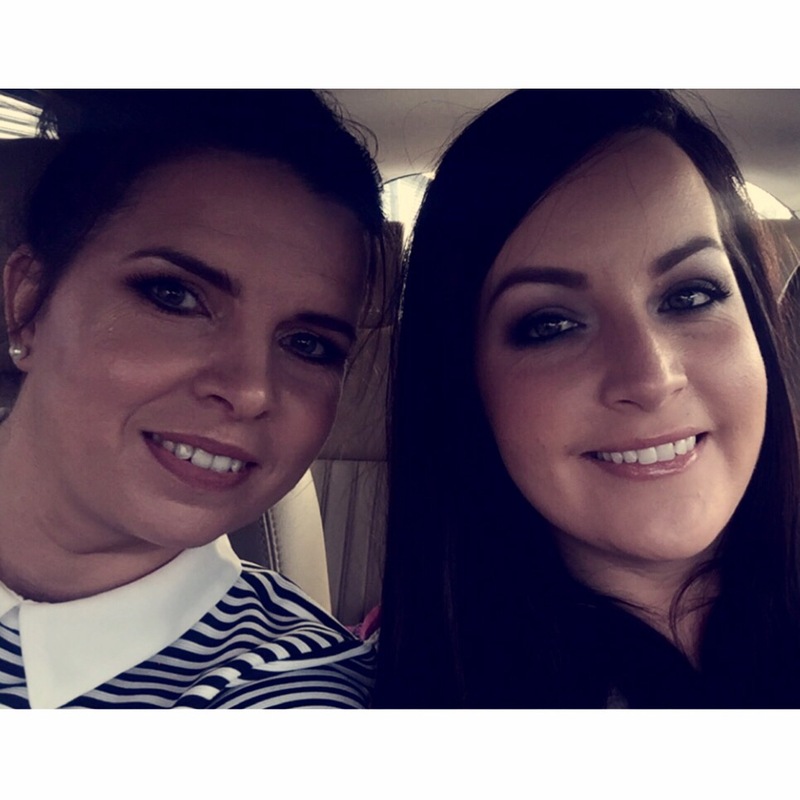 You might remember a few weeks ago we headed off to the Irish Beauty Show to pick up a few bits and pieces and we were very excited about stopping by the Makeup Revolution stand. 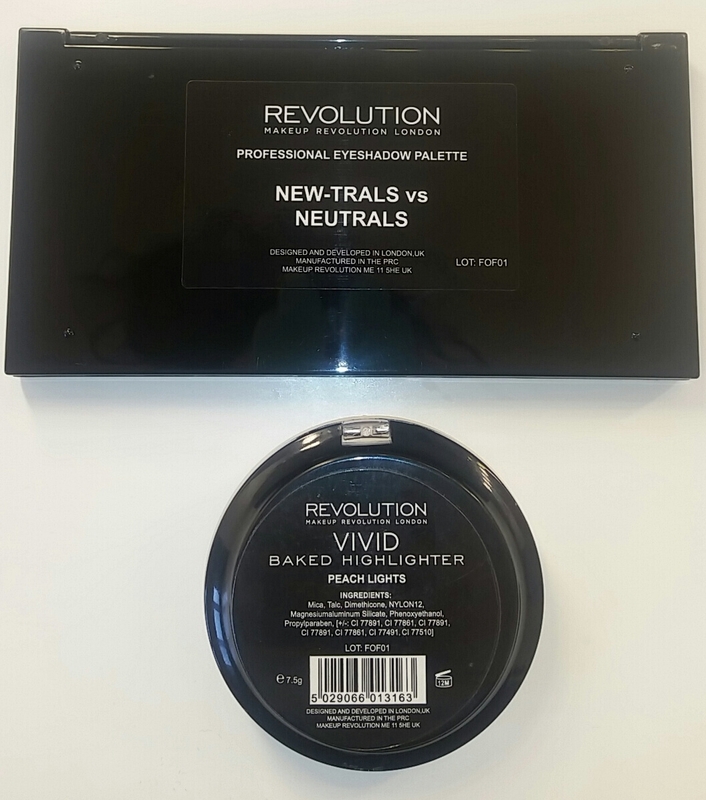 Makeup Revolution is a drugstore brand that’s fairly new to Irish shores and up to now has only been available in Superdrug. Any time I was in London I could easily lose a few hours in the Superdrug at the top of Oxford Street browsing the makeup aisles and they always had a huge Makeup Revolution range. So you can imagine our excitement when we heard Makeup Revolution was coming to Ireland. 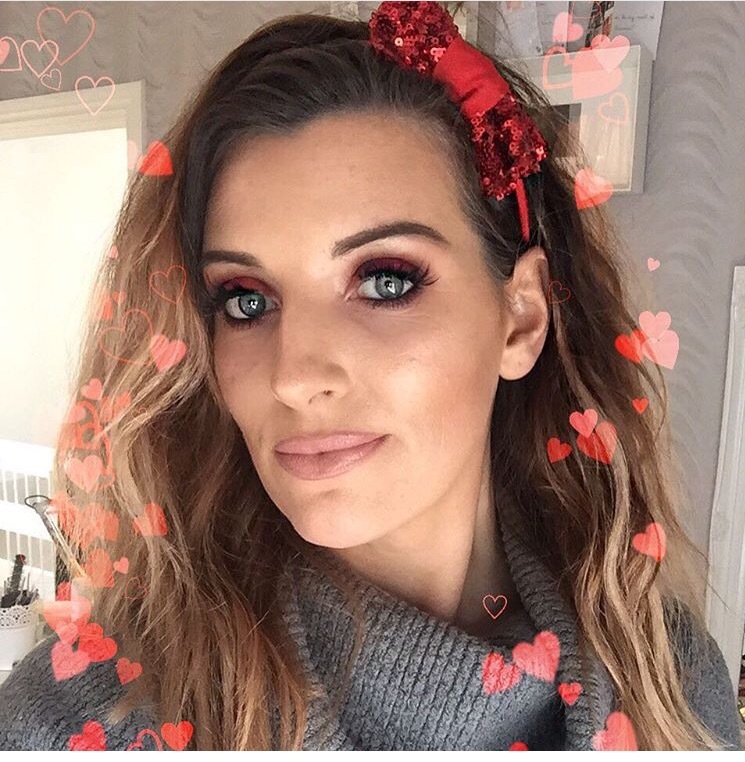 Our friends at Matte To Metallic are brand ambassadors for Makeup Revolution so we have been keeping a close eye on all their social media (Facebook, Instagram : Matte To Metallic, Snapchat : @jennydonohoe283, @ciciclinton, @siobhanscanlon9 ) to see the products in use and we had picked out a few we really liked the look of. 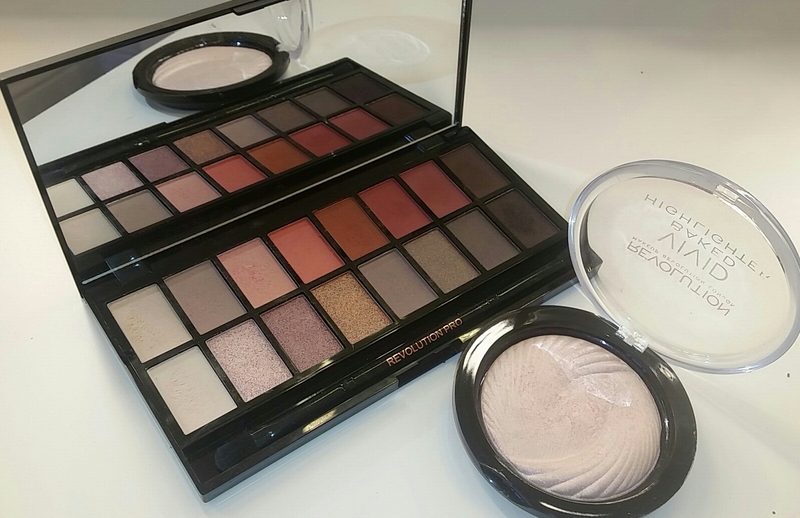 The two products I managed to get my mitts on were the New-trals vs Neutrals eyeshadow palette and the Vivid Baked Highlighter in Peach Lights and oh my…..I think it’s love!! I knew these products would be decent but I wasn’t expecting to be blown away by them like I was. The eyeshadow palette has a whopping 16 shades. There’s a nice mixture of matte and shimmers in both warm and cool tones which makes this palette so versatile. I’ve been using it for a few weeks now and have been able to create soft subtle day looks and dramatic colourful looks. 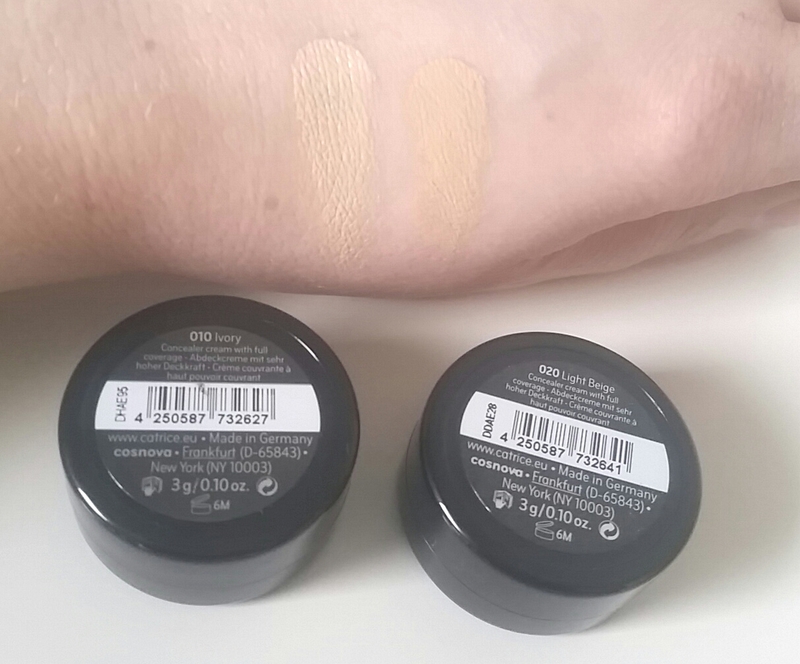 The pigmentation is incredible, especially on the matte shades. The texture of the shadows is very soft and really easy to blend which is fantastic but that can mean they’re a little bit powdery so you just have to be careful to tap off the excess on the brush to prevent fallout on the cheeks. The colours in the palette are named and there’s a little removable insert with the names on it. I think my favourites are Neutral and Adapt which I have been using as transition colours or Trend and New-tral which are the gorgeous bright warm shades I have on in the pictures here. There’s also a handy little brush included, which as they go isn’t the worst. 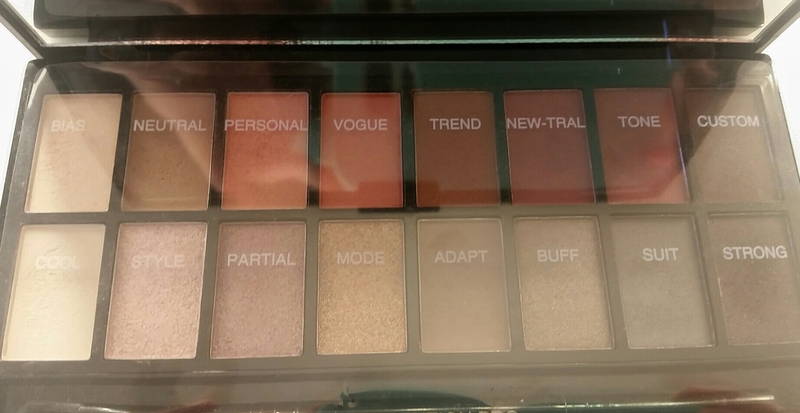 This palette retails at €11.79. That’s 16 really fab eyeshadows for under €12, I can’t get over the value. Now the highlighter…..swoon!! It’s just beautiful. We do have a bit of a soft spot for highlighters here, they’re just so sparkley and gorgeous. And this one is divine. The colour is called Peach Lights but I do think it’s more of a lovely cool-toned pinky hue as opposed to the warm-toned peachy-golden Soft & Gentle or Mary Lou Manizer. So when I swatched it I wasn’t sure how the cool tone would look but it blends in really nice and gives a gorgeous glow. I use it mostly on top of the cheekbone and in the inner corner of the eye to make the eyes really pop. This is in around €3, again unbelievable quality for that price. 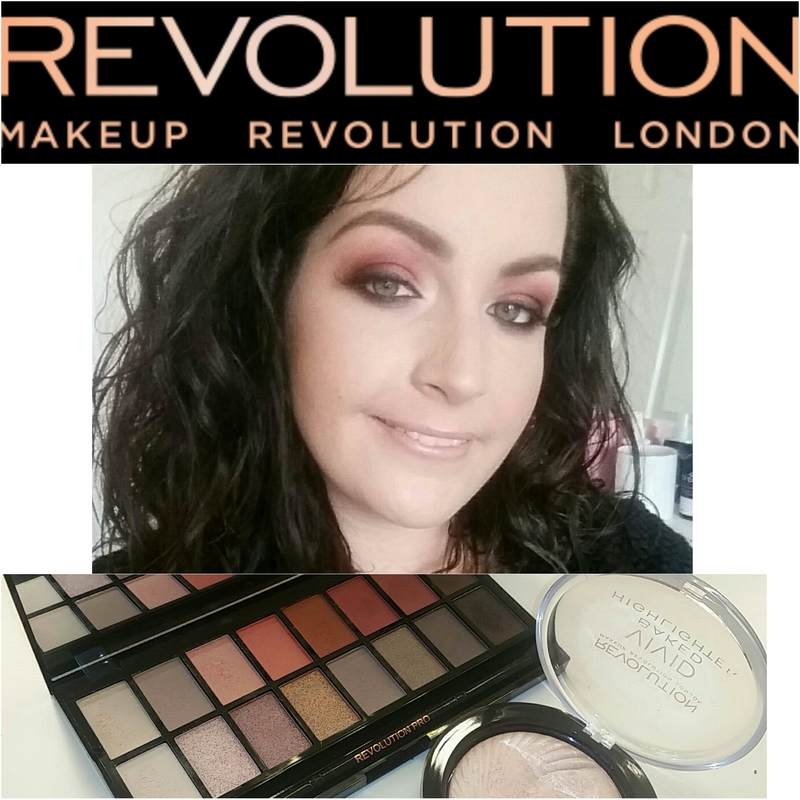 This isn’t the first time we have reviewed drugstore or budget beauty brands here but I do have to say I think Makeup Revolution really has something special, they just have that edge over other brands. Their products and packaging look and feel like higher-end brands, and the quality is spot-on. And their range of products is huge, from strobe creams to contour palettes to lippies, we want it all!! So far I have just been using these on myself, not because they’re not good enough for my pro kit….it’s just I’m not sure if I want to share them….I think I’ll keep them all to myself!!!! I’ll definitely be purchasing a LOT more Make Revolution now it’s available in Ireland. 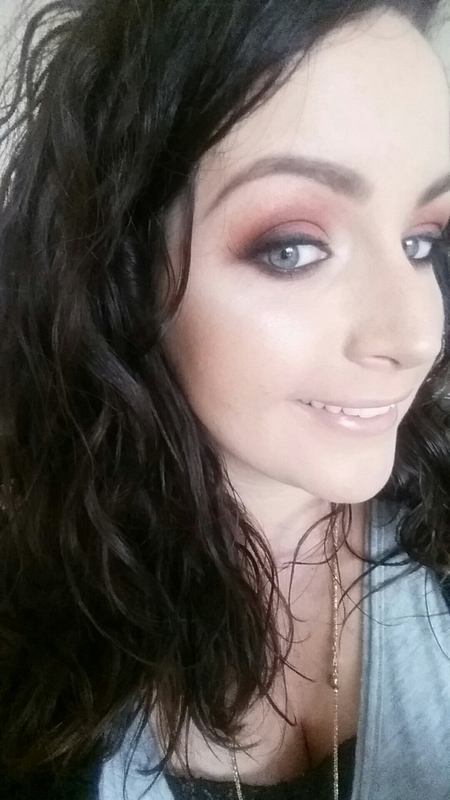 So as you can tell I’m VERRRYYYY impressed with my Makeup Revolution buys from the beauty show and don’t forget to keep an eye out for Lisa D’s review on her Makeup Revolution purchases , she’s busy having fun trialling hers at he moment and will report back soon. If these are anything to go by I’m sure it’ll be another glowing review. 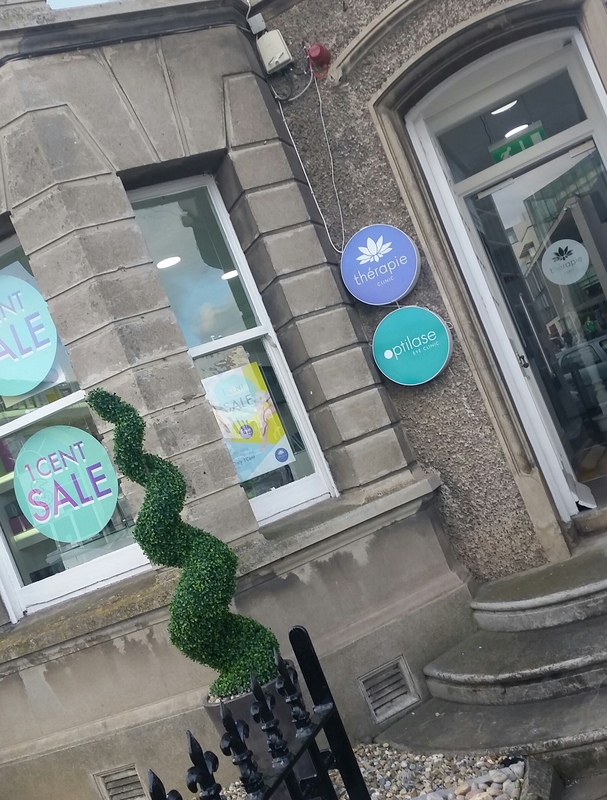 Dolans Pharmacy, Bridge Centre, Tullamore, Co.Offaly. Bergins Pharmacy, Edward Street, Newbridge, Co.Kildare. Hughes Pharmacy, Main Street, Portlaoise, Co.Laois. Two weeks ago I did a snap chat chat about how I became a Makeup Artist, this was due to questions previously asked so thought I might as well talk about it on the social media platform. But as ye do I got more into the how and why and before ye know it 1/2 hour goes by and I’m still talking about it. To be honest it was just meant to be what courses I did etc… but that never happend, I went onto explain alot more personal reasons behind my decisions, and never really got into how to start. So this is what this blog post is, just 5 simple tips on how to start and how to promote yourself. Make sure you choose your course wisely, do some reasearch and background checks on the course you are thinking of attending. What do they offer, what content do they cover and what qualification do you get out of it. 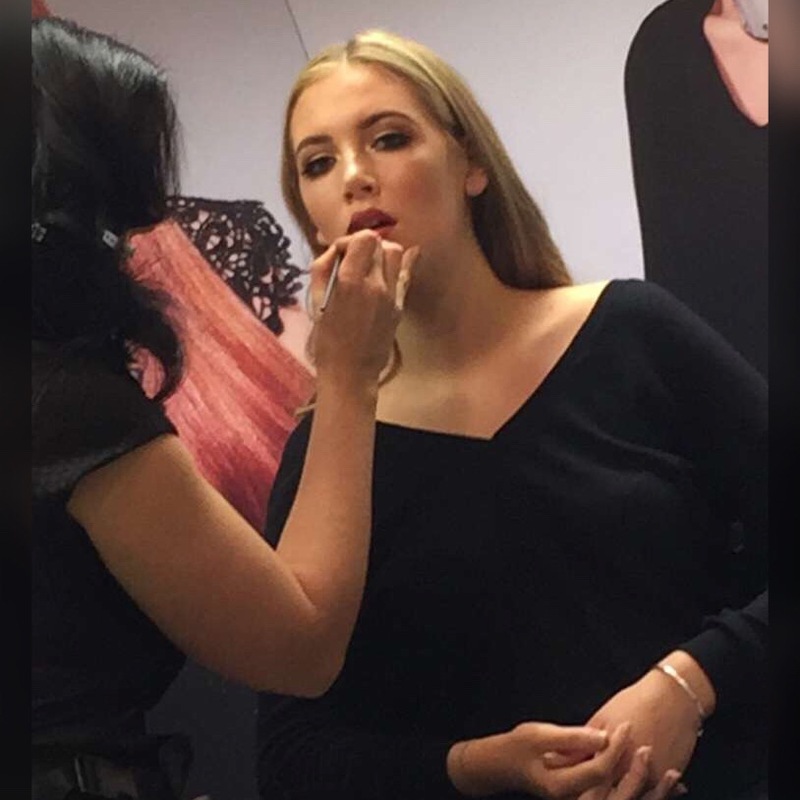 Currently in Ireland the make up industry is not regulated meaning you don’t have to carry a licence to be a makeup artist, but that is not to say you don’t need to have a qualification to work in the industry. Most brands require a qualification in makeup artistry should you wish to work with them i.e. ITEC Certified etc… but getting this certificate is not a nescessity for freelance work, it’s a definite bonus to have but not essential to work freelance. Many courses offer full-time and part-time classes so it can be very flexible for people expecially if your a mum that wants to change your career path. This is what I did, at 33 I decided this is what I wanted and attended the Zoe Clark Makeup School and enjoyed every single bit of it. So its never to late ladies, I had 3 children at this stage and managed to do something that made me happy. Tip 2: Now your a ‘Makeup Artist what next? So you have done the course, you have your kit and ready to start, but how or where do I go from here. Experience ladies, getting experience is absolutely essential as a makeup artist. Every client you do has a different skin type, colouring, shape you learn something new from each client that sits in front of you. I used my friends as guinea pigs when I started out just to put into practice what I learned. Sometimes it’s a case of working for free, email photographers especially ones that are only starting out themselves, and say you are willing to work for free in exchange for credit, this is a great way of building your portfolio. The majority of makeup artists work hard on there social media platforms in order to gain work. The power of social media is astonishing, it can really help to build your name and career. Work hard in this area and the results will be rather satisfying. 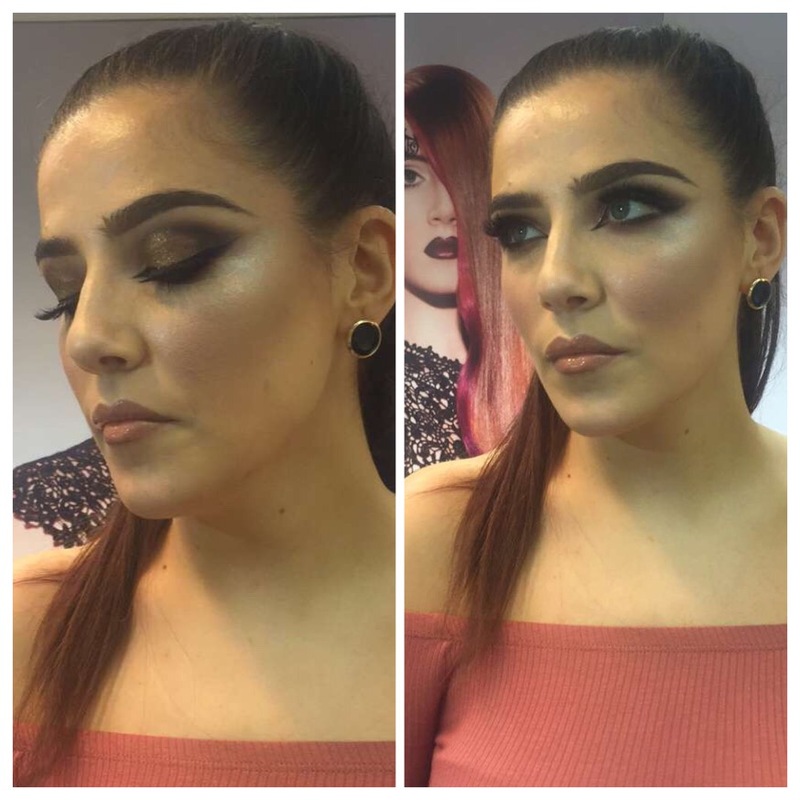 Open up a facebook makeup page, use this platform to post your client pics, makeup offers, competitions/giveaways (great way of getting your name out). Facebook will be your bff (although it can be your enemy on bad days) when starting a business. You need to post regularly, be interactive, post good quality pictures. When I started I had a friend of mine who was a photographer do a photoshoot in my home with 8 of my friends, these were the pictures that I used to post on my page first, professionally done and they looked amazing. Mobile phone’s nowadays can take perfect pictures just make sure you have good natural light when snapping your client. Try not to filter the life out of your photos as this does not show your true work. Don’t be shy or afraid to ask to take client pictures, majority of ladies don’t mind, this is your work and a way of advertising yourself, put yourself out there and it will all come together. Make sure to add your watermark/name to your picutues eg. your name across the picture, this will make sure knowone can claim this as there work. Always be professional. Keep your diary up to date, allocate the appropriate time for each client, always stick to the dedicated time you have slotted for each client. Present yourself well and never let a client down for silly reasons e.g hangover from a night out, this won’t make that client return. Keep your kit professional and hygenically clean at all times. Do the best you can do, your clients are the ones that will get you the work. If you do a good job and be professional they will recommend to friends and family, word of mouth is like gold, its the best form of advertising. My insecurities got completely in the way of my work at the start. I always second guessed everything I did, always looked for a flaw or something I could of done better, even when people were saying ‘you did a great job’ I always doubted it! I suppose I never believed in myself which is pretty sad to say but that’s how it was and that’s how I felt. So please take my advice, do not doubt your capabilities, if there is an area that you feel you just can’t crasp, ask another makeup artist or go to masterclasses held by other makeup artists that you admire, this is a perfect way to pick up on new techniques. I regularly attend these classes just to keep up to date with trends and products. That’s it ladies/gents my thoughts on how to become a makeup artist and how to promote yourself in 5 steps. These are just some of the suggestions that I give to people as this is what I wish I had known back in the day when I started. I hope it helps a little bit towards your new career choice. Been a makeup artist is the best decision I every made, it’s not easy and as glamours as it sounds. The hours can be long, achey feet, back pain, shoulder pain ye get my drift lols!, but ladies/gents if you are 100% sure this is for you well then it’s worth it, it’s not everyday you hear ‘I love my job’. 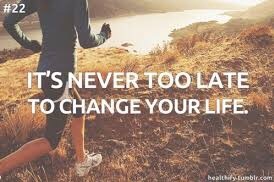 So don’t be afraid if this is something you are interested in just do it, you have nothing to lose only regrets! Thanks for reading this far lovelies much appreciated. Happy Easter, hope you’re all having a lovely weekend. On Thursday night myself and Lisa D hit the road again on another little adventure. 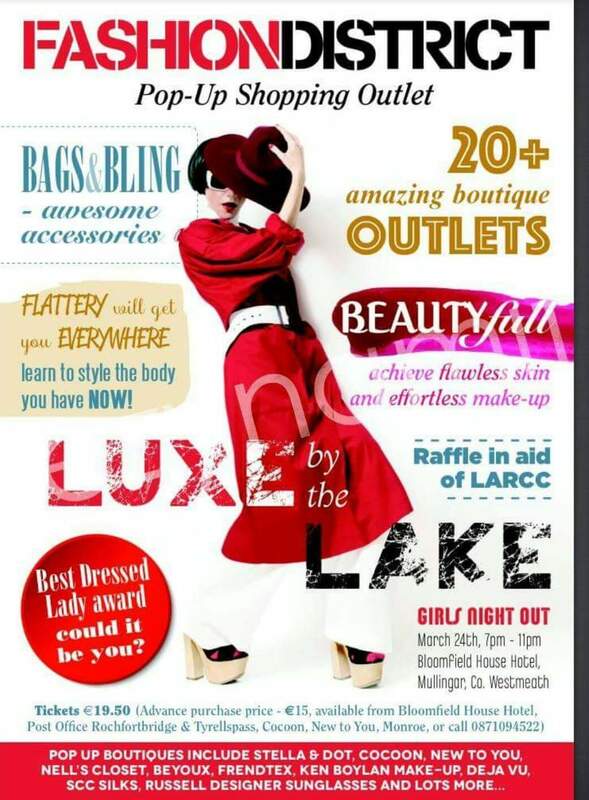 This time our destination was Fashion District Pop-Up Shopping Outlet in Mullingar’s Bloomfield House Hotel. 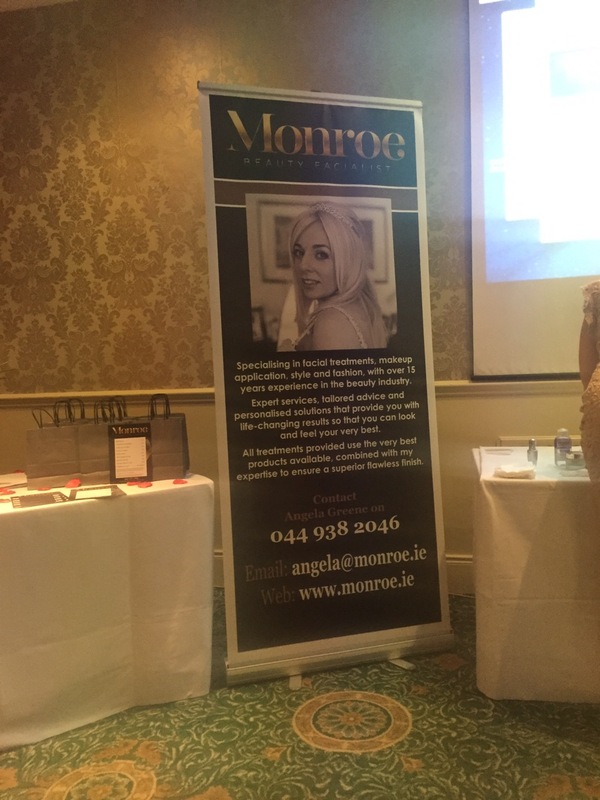 We were kindly invited to the event by the lovely Elaine Bradley-Ryan. Elaine is a total fashionista and a stylist for our fave jewellery Stella & Dot (check out her Facebook page “Elaine Bradley-Ryan, Stella & Dot Stylist”). 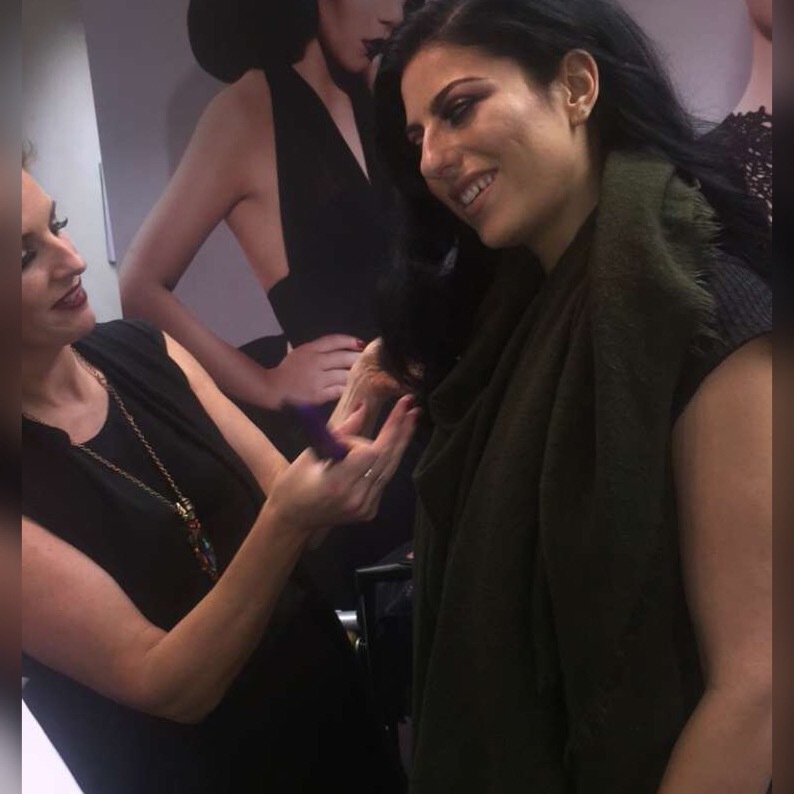 When we heard what was involved for the night we were all over it and super excited to go…fashion, jewellery, vintage, hair & makeup demos, free bubbly!!! The event ran from 7-11pm and when we got there shortly after 7 it was in full swing. We didn’t waste any time and started to browse the fashion rails straight away. There was some gorgeous pieces for sale from some fab boutiques, Cocoon, Nells Closet, BeYoux and Deja Vu to name a few. The bargains were unbelievable, one dress that caught our eye was reduced from €218 to just €50!! 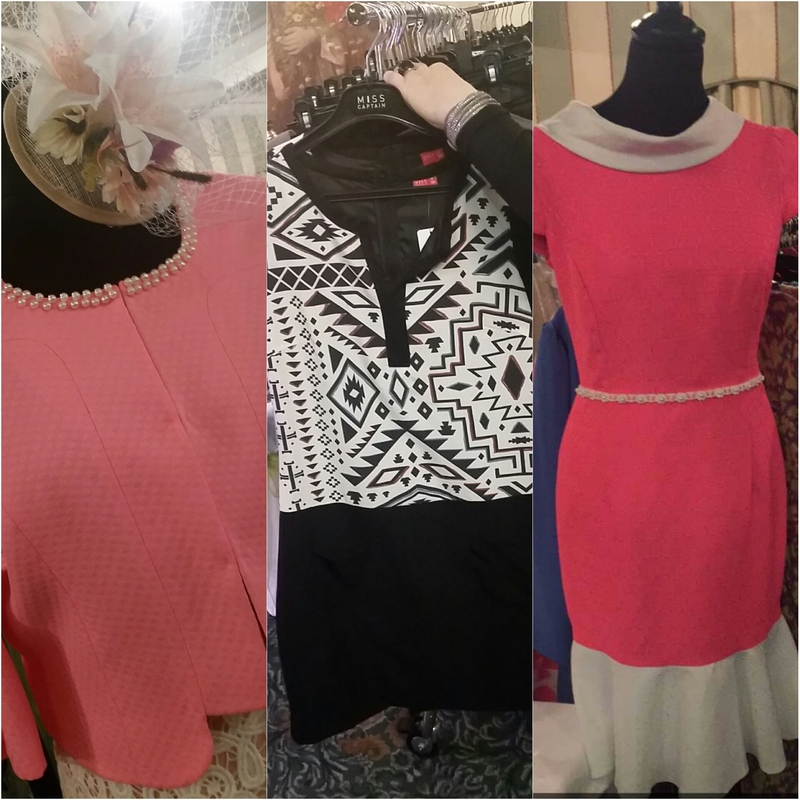 A boutique we particularly liked the look of was Deja Vu (Deja Vu Ranelagh on Facebook). They had the prettiest Louboutins for sale, second hand but in perfect condition. We also spotted some Louis Vuitton and Jimmy Choo while we were there. Being the magpies that we are we were totally besotted with all the Stella & Dot jewellery on show. 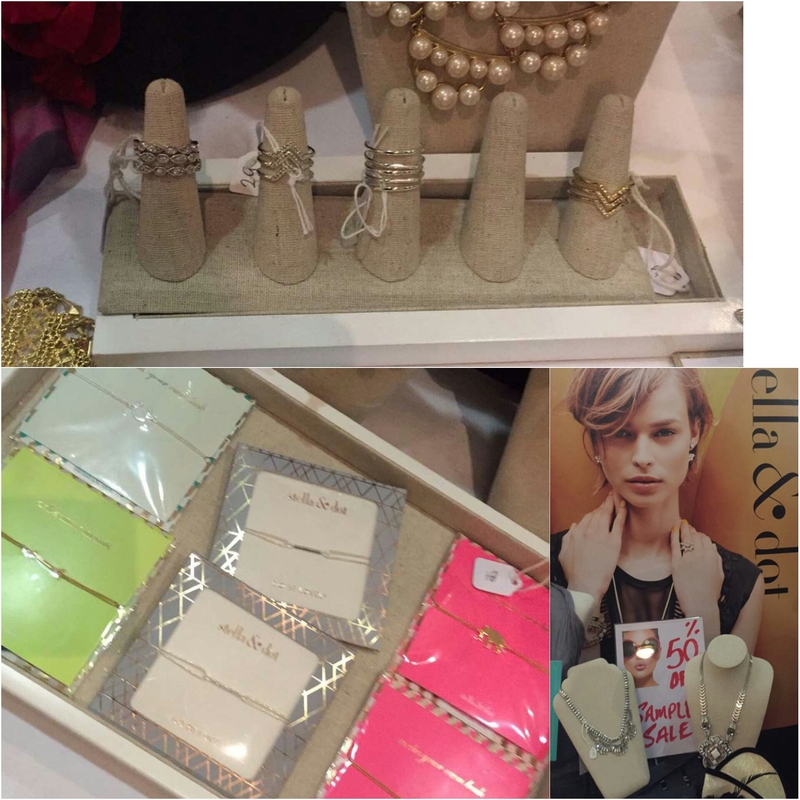 I’m a big fan of Stella & Dot and hosted a trunk show last year. A stylist came to my house and all my friends came around and we could try on all the pieces and order anything we wanted to purchase. At the time I bought a gold charm bracelet with 4 charms and a delicate gold arrow necklace. I’ve worn both constantly since then and they’re still perfect. 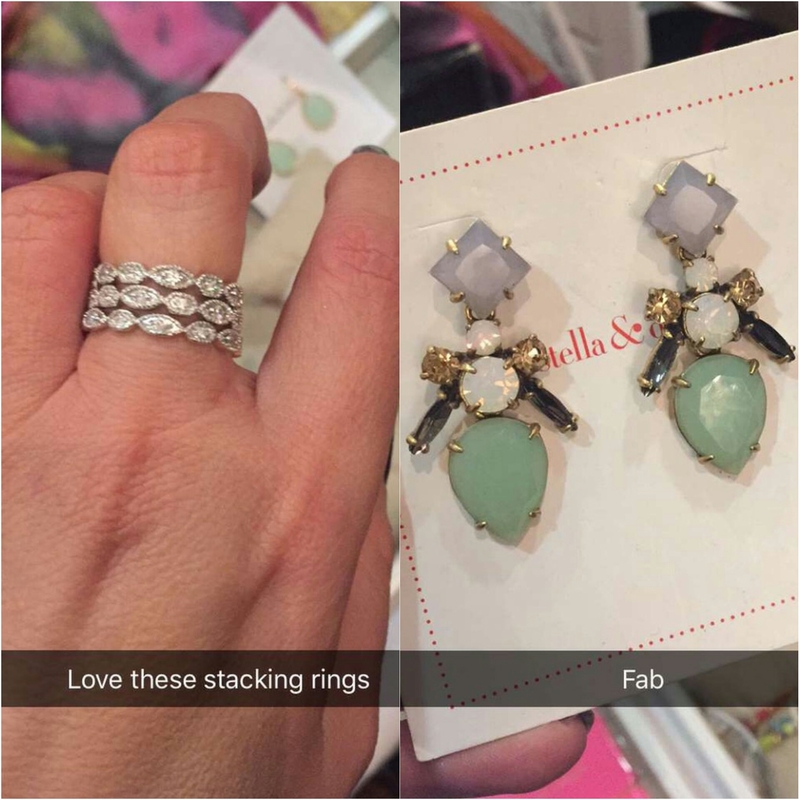 Our faves on display last night were these gorgeous stacking rings and the multiway earrings. Is it too early to start our 2016 Santy list?? After we had our fill of shopping we took our seats for the part we always enjoy most…the makeup demo. The makeup artist in action last night was Angela Greene of Monroe.ie. 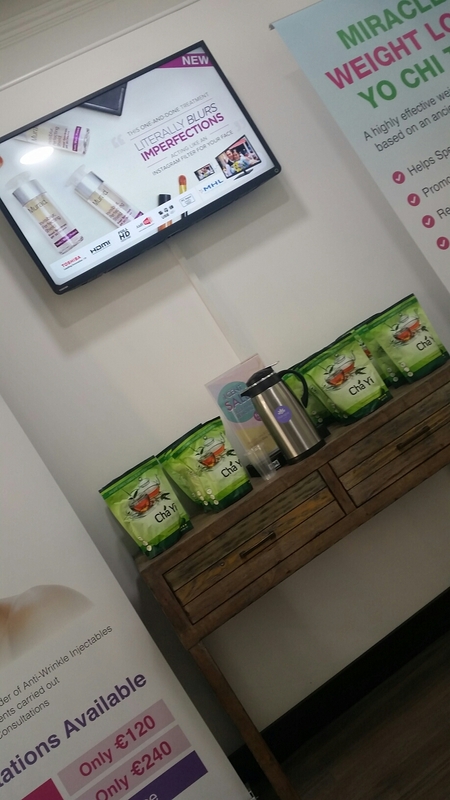 We were delighted to see some of our favourite products ready for the demo, we spied the Penneys brush holder and brush and the Cocoa Brown Golden Goddess oil. Angela seemed to be a makeup artist after our own hearts!! 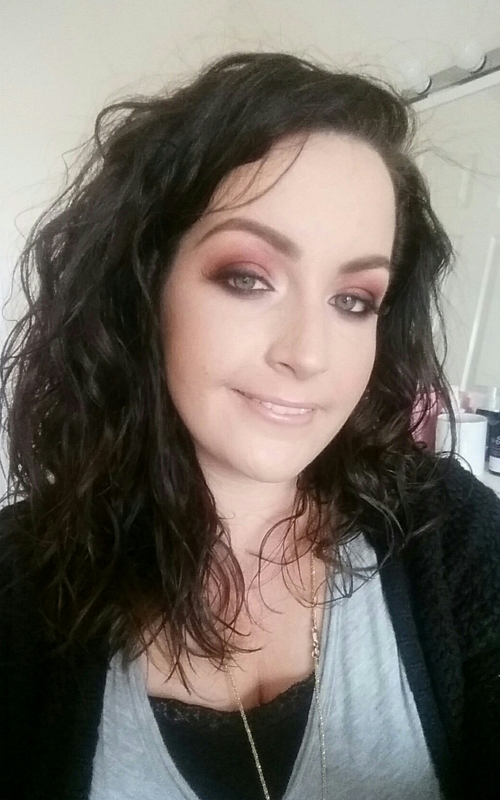 The demo was a quick and easy everyday makeup look achievable for busy mammys. 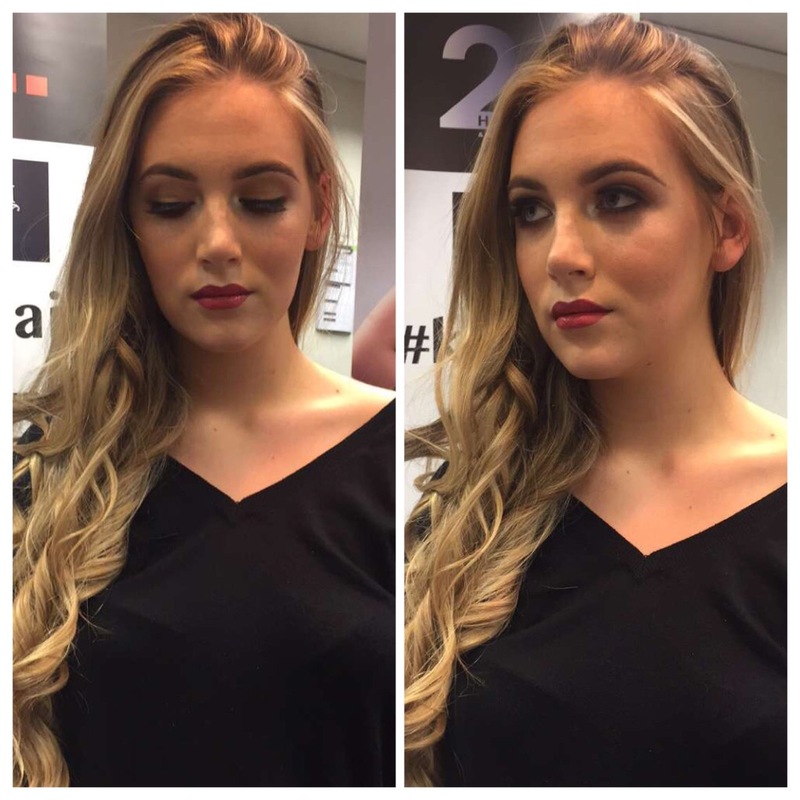 Her finished look was beautiful and fresh and she showed us then how to make a few tweeks to turn it into a glam night-time look using Ken Boylan products. 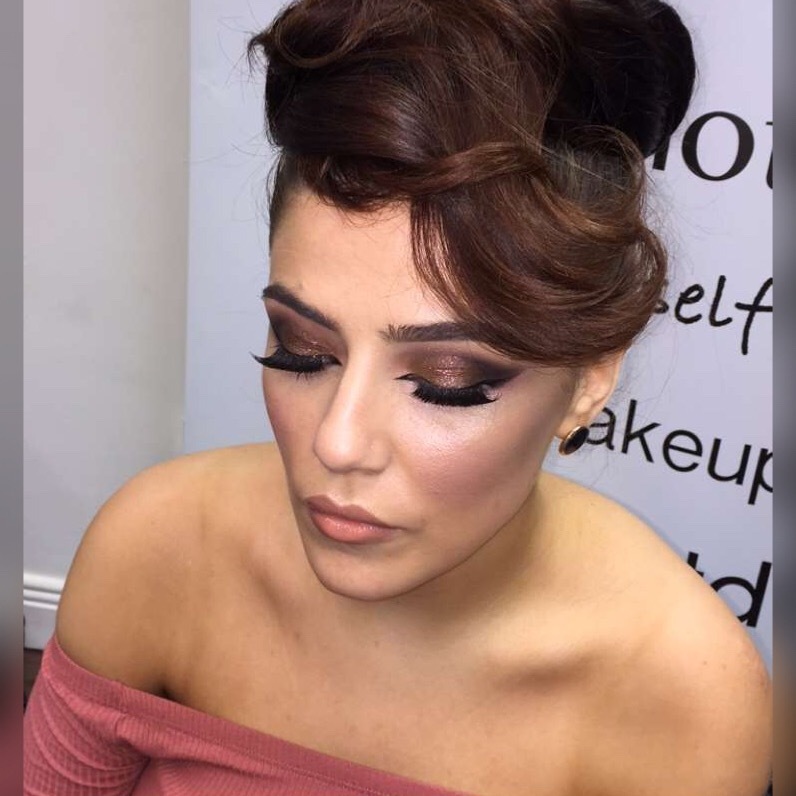 When Angela was finished we seen Vaida from First Floor Hair & Beauty create some easy-peasy hair looks to complement the makeup. We were busy taking notes and we can’t wait to try them out for ourselves. The style on show rivalled any wedding or day at the races we’ve ever been to and it was no wonder with a prize for Best Dressed Lady up for grabs. 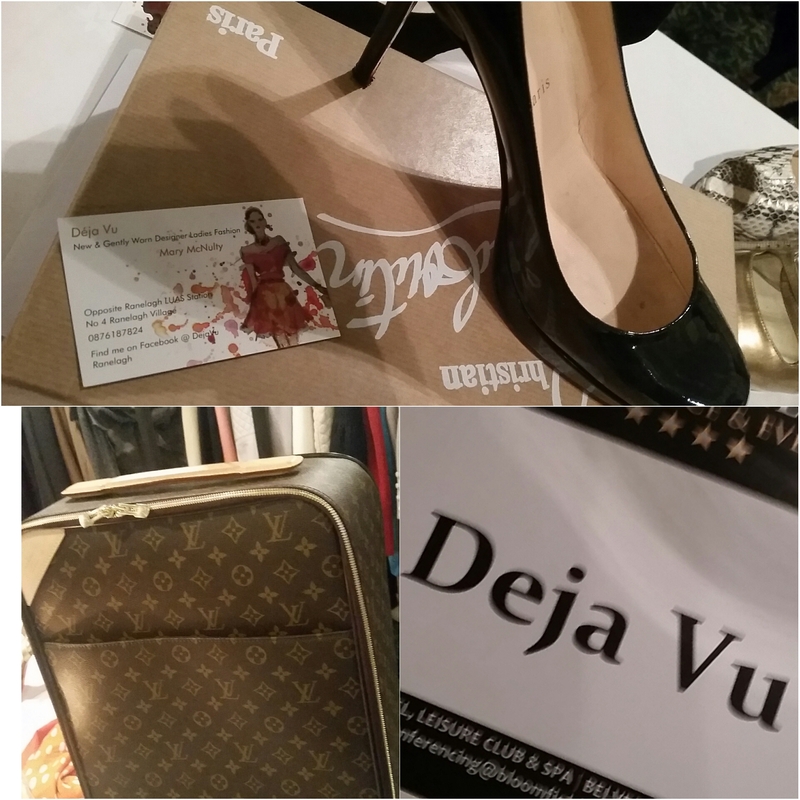 Lisa McGowan from Lisas Lust List was judging the best dressed and her pick was gorgeous. The best dressed lady wore a beige ankle length jumpsuit with an Obi belt and tan boots, we had spotted her earlier and commented on how fab her outfit was!! 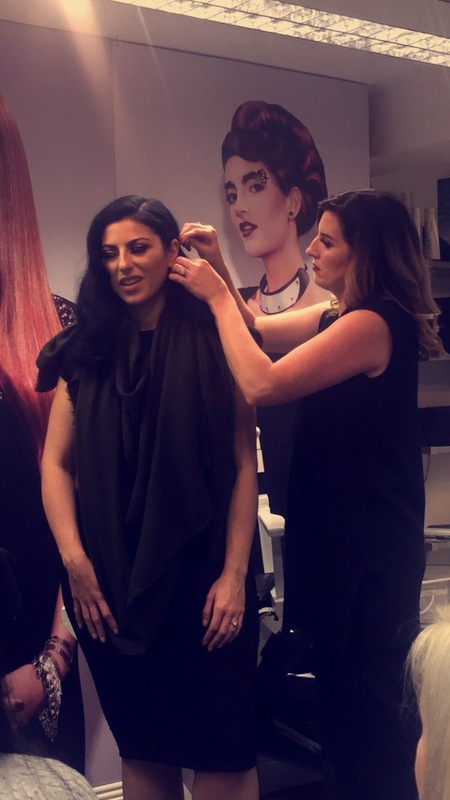 To finish off the night we were treated to a style masterclass from stylist Julie Cobbe from Stylefish.ie. Julie talked us through how to detox our wardrobes….if you haven’t worn it in a year get rid, if it doesn’t fit you and hasn’t fitted you for a long time…get rid!! She also gave us great advice on dressing for our body shape and how to identify our body shape….as much as I would like to think I’m hourglass I’m afraid I’m more of an apple!! It was an eye opener and we came away with lots of new tips and learned lots. We had a great night and we’re so looking forward to the next Fashion District but we might need a bus next time to bring all the girls (and our shopping!!) with us…. Happy Saturday, hope you’re all having a nice weekend and are getting into the swing of Spring. Today we wanna talk about budget beauty. Now I know we talk about our high end products on here and recommend our Mac, Estee Lauder, Charlotte Tilbury……but girls we do love a good budget beauty buy. More often than not it’s the Penneys and pharmacy brands that have us going gaga. And we know you lot love yourselves a beauty bargain too. So with that in mind we’ve put together a few products we’ve been loving recently, all under €5. This product arrived in a little hamper I was sent before Christmas from Ryans Pharmacy. I never used it before but was curious to see how it worked. 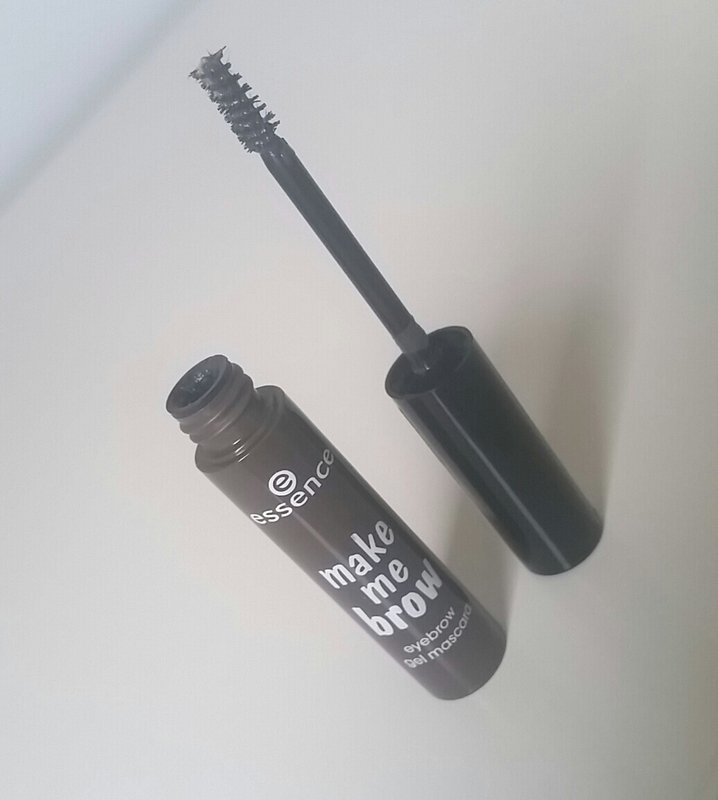 It’s a gel product with little fibres that adhere to your brows instantly plumping them out a bit and adding definition. After using it on myself for a while I was really impressed and now it’s a staple in my pro kit. It’s so easy to use all my students are hooked too. I seen this concealer first on Lucy Bradleys snapchat (@lbmakeup) when she used it during a demo and I was blown away by how well it seemed to work. 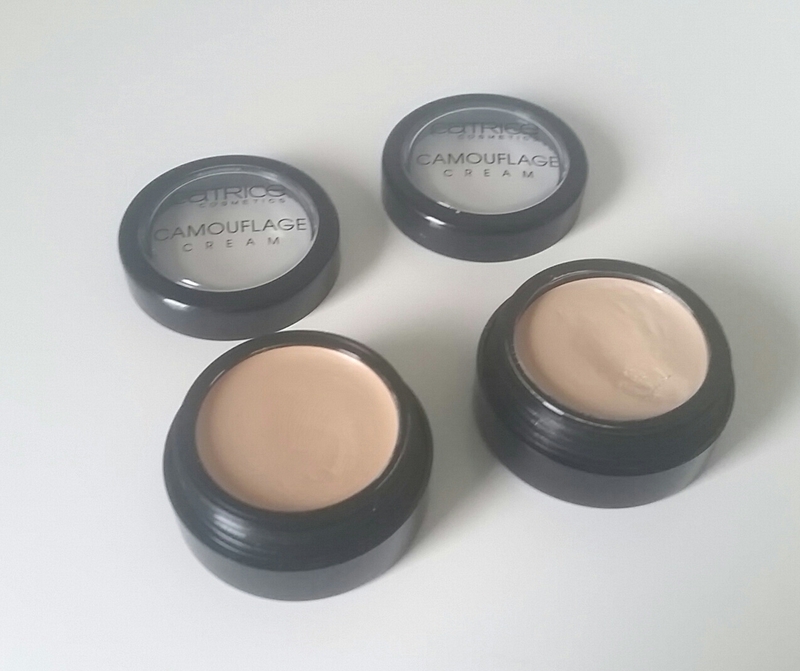 It’s a high coverage cream concealer perfect for covering blemishes or doing a little defining work. I gave these a whirl on my bridal trials and they were amazing, even covering a shoulder tattoo for a bride to be!! They’ve been compared to Mac Studio Finish Concealer and so far I’m loving them. This is another recent purchase I am loving. 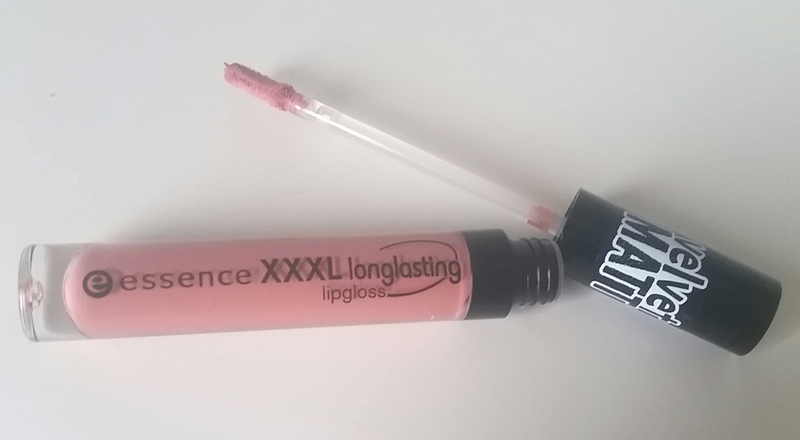 With all the hype for liquid lipsticks and matte lip tints I thought I’d pick this up and see how it fares against some of the more expensive brands. The matte finish is so on-trend and the colour I chose is a warm browny peachy nudey (LOL) shade and it’s perfect for everyday. This doesn’t dry out the lips which can be a problem with some other matte lip products. I’ll definitely be picking up the rest of the colours. 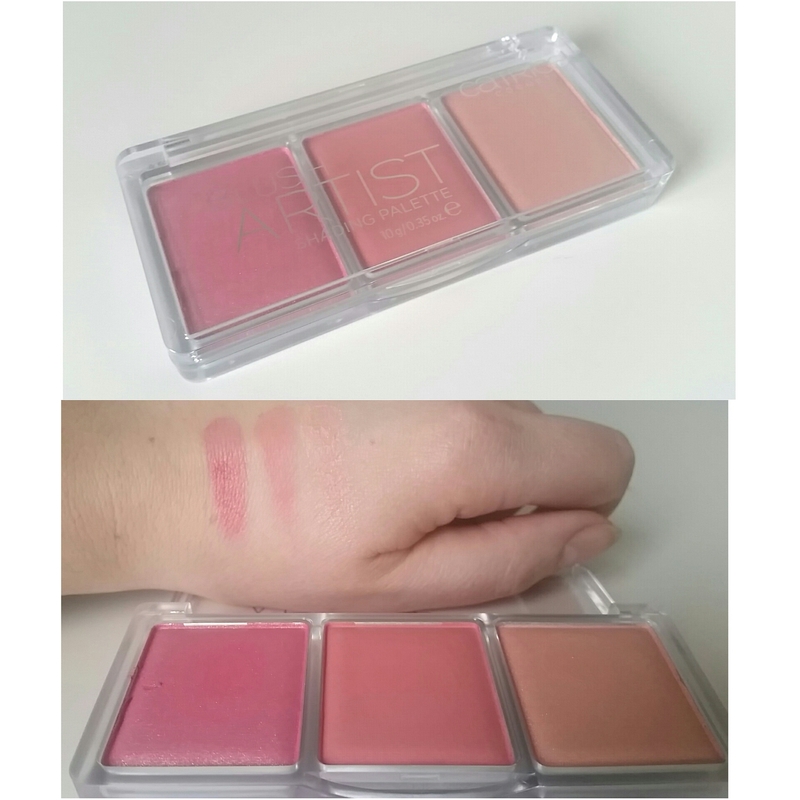 This is a palette with 3 shades of blush and can be used to shape and highlight the face, using the darker shades on the apples of the cheeks and the lighter shades on the cheekbone to highlight. Although the packaging says Shader I don’t think there’s a shade dark enough to really use as a shader or contour in this one. But the colours are so gorgeous and they sit lovely on the skin. 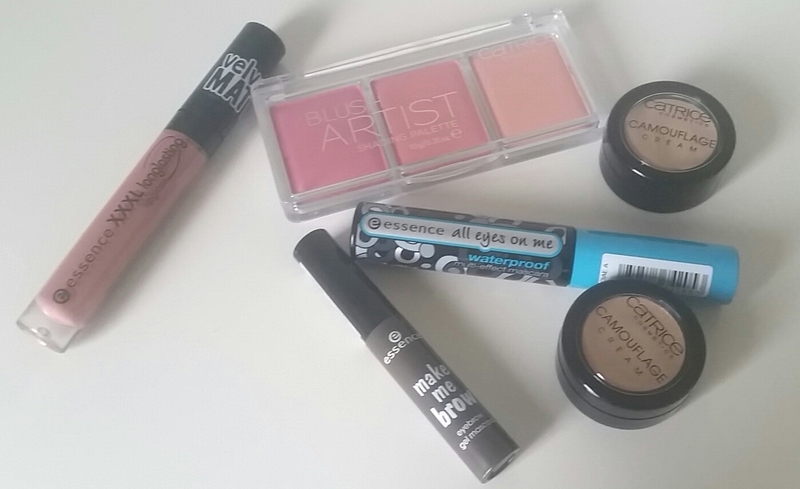 3 blushes for under a fiver….yes please!!! Waterproof mascara is an absolute must in my kit. Working on so many brides I can’t run the risk of using a mascara that could end up half down the face during the day. I’ve tried and tested a few and this is one of my favourites. It’s a nice intense black and won’t move once applied. Perfect for anyone that suffers from watery or irritated eyes. Yesterday the fabulous Kate McCormack Makeup also featured this mascara on her Facebook so it seems to be proving popular with all the pro’s. So there you have it, 5 fantastic affordable beauty buys that rival any of the higher end products in our makeup bags. You could pick up all these for under €17…FAB!!!! 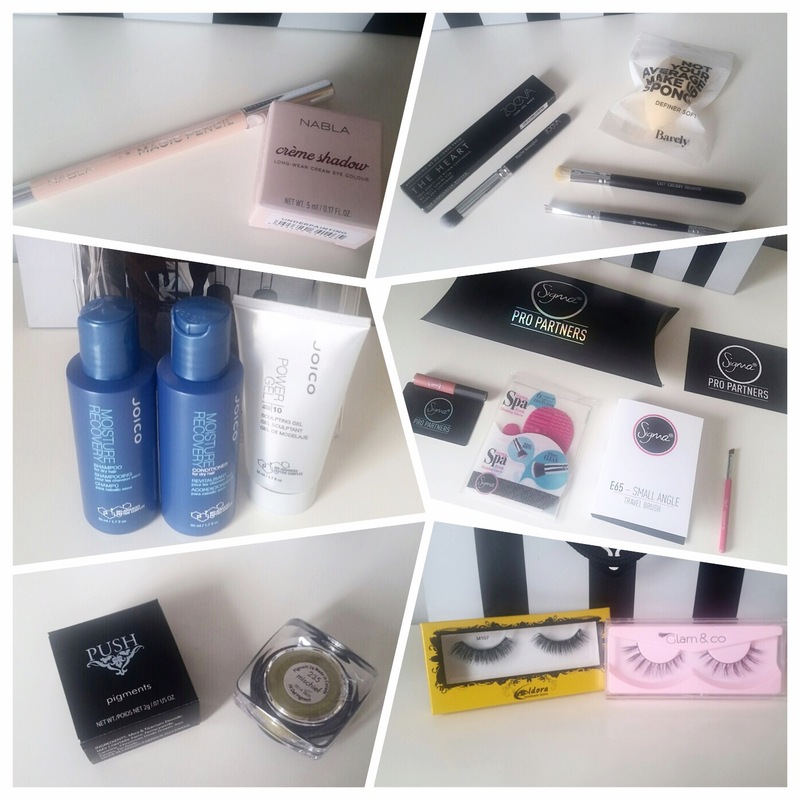 So Happy Shopping ladies, if you try any of these products be sure to let us know what you think. Essence and Catrice are available from Penneys nationwide and Ryans Pharmacy in Edenderry. Just a note though before I move on, colour correcting can be done after you have cleansed, toned and moisturized the skin, after this you can go ahead and prime and conceal. First though I want to explain what colour theory is. Below is a picture of a colour wheel which might be familiar from your first Art lesson at school. Do you remember your art teacher explaining the colour wheel to you? primary, secondary and tertiary colours? how to blend primary colours to create secondary and tertiary colours? this trick works exactly the same for makeup. Makeup artists use this wheel on regular basis they may not physically have this image planted on there desks etc.. but believe me this wheel is implanted in our heads, we refer back to this everytime we stand in front of a client to determine her skin type and what foundation we pick, types of concealers and certain eyeshadows that will complement her eyes! How to work the colour wheel: For me, I have naturally dark under eyes that are a deep blueish colour so to correct this, I take a look at a colour wheel and I can then see that the opposite colour to blue is orange. I then apply the orange pigment as this will neutralise the deep blue colour of my under eyes. 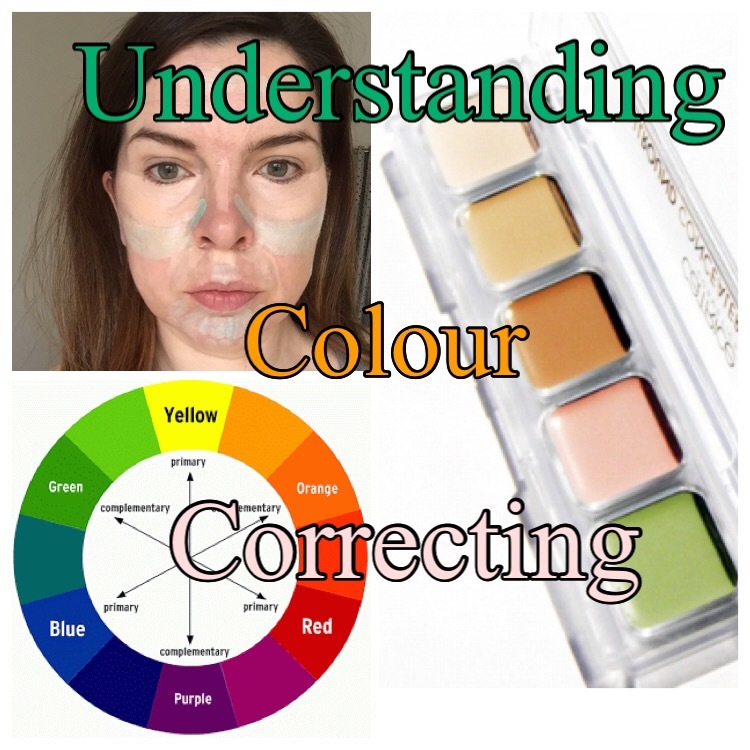 For anyone that might suffer with ‘Rosacea’ which tends to affect the cheeks, forehead, chin and nose, and is characterised by redness, if you look at the wheel and go to the red, the opposite of red is green hence why the green is a colour that you will find in a corrector palette. By simply dabbing the green colour to cover the area will neutralise the red. I hope this is making sense!! I want to simplify this as much as I can and break it down so that you can understand as much as possible. So what I want you to do when you are ready to apply your concealer is, have a look in the mirror and take note of what you want to conceal and the colour of the problamatic area! For example is it the undereye area? is it blue or purple? or around the nose which maybe reddish or redness on the cheeks which can be sometimes refered to as ‘Rosacea’ as described above. These are all common skin areas that clients want to cover. Don’t be afraid to use these concealers to cover these areas. The colours are there to counteract/cancel out against the redness or blueish tones on the skin. 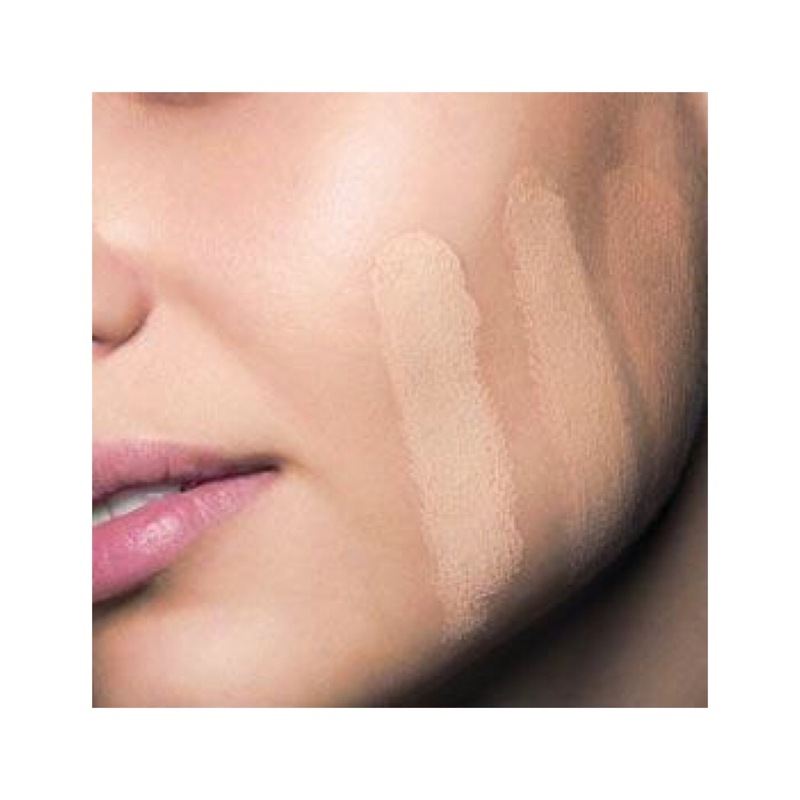 Using darker foundations to apply on these areas will not cover but only enhance the area. Embrace your colour corrector and play around with the shades and I promise you, your skin will appear flawless once you apply the concept of the colour theory. Refer to the colour wheel if you are not 100% sure on what concealer to use. Colour wheels are accessible on google pics or pinterest! 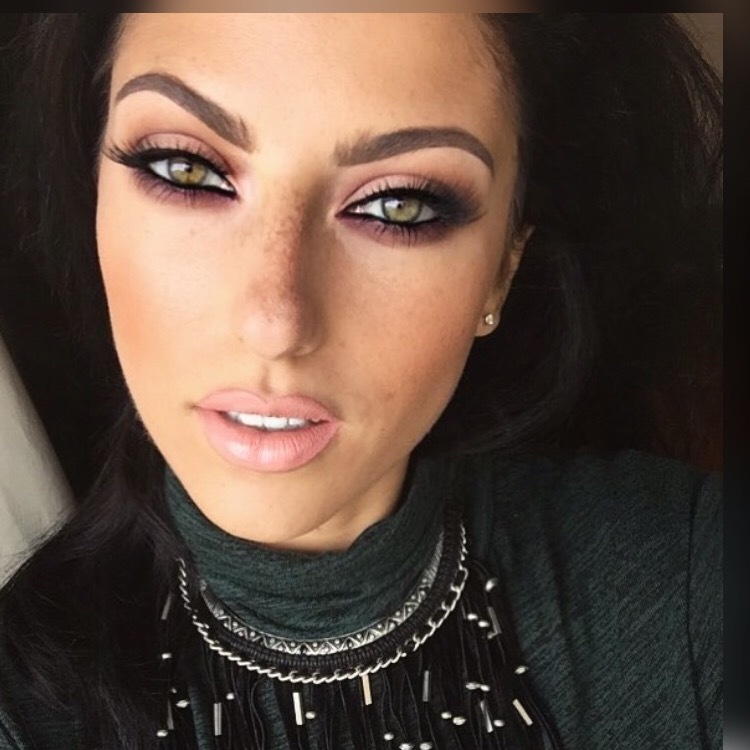 This is a great colour guide that I found on Musingsofamakeupjunkie. It explains the theory of each colour that you might find in a concealer palette. We have so many brands available to us that cater for correcting and concealing. We have primers that are also there to not only prime but to even out skin tone or to correct the redness. Below is what I carry in my kit for use on clients. This Concealer palette from Catrice is great. You have your green and peach/orange tones to help counteract against red and blue. Retails at €5.00. These are the Prime & Fine by Catrice that also work as a colour corrector. The pink one is used to even out skin tone, the green one is used to cancel out redness. The only thing that I would recommend is to use the green one sparingly, do not rub all over the skin, just dab on where needed as sometimes I feel its to much and can show through your foundation. 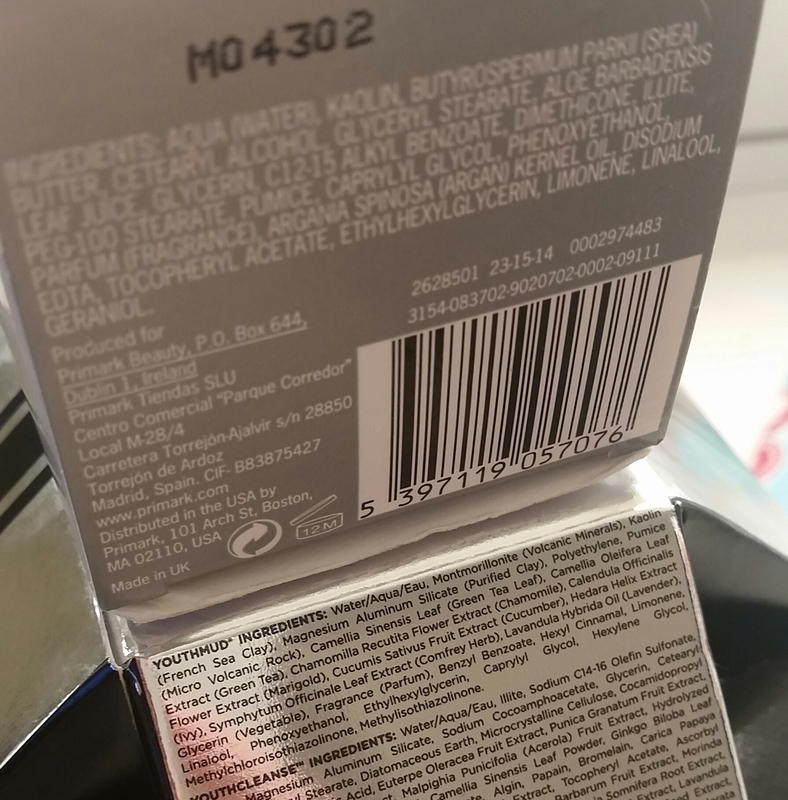 Catrice can be purchased from most pharmacies or Penneys. OK! Brace yourselves for this mugshot of Moi! I’m baring it all just for you guys so that you can understand exactly where to apply your correcting concealers so excuse the head on me. No filters here ladies/gents lol!! The Left picture gives you a clear indication of what I need to correct, my nose area, cheeks, to lip, forehead, are all slightly red. My undereye and inner eye area are dark with a blueish hue. The Right picture is what I used to correct these areas. The green counteracting against the red, the peachy/orange tone will cancel out the dark tones under my eyes and the pink tone will give me a slight highlight down the bridge of my nose! The Left picture is the correcting concealers blended in. I used a beauty blender which I find works best for me. 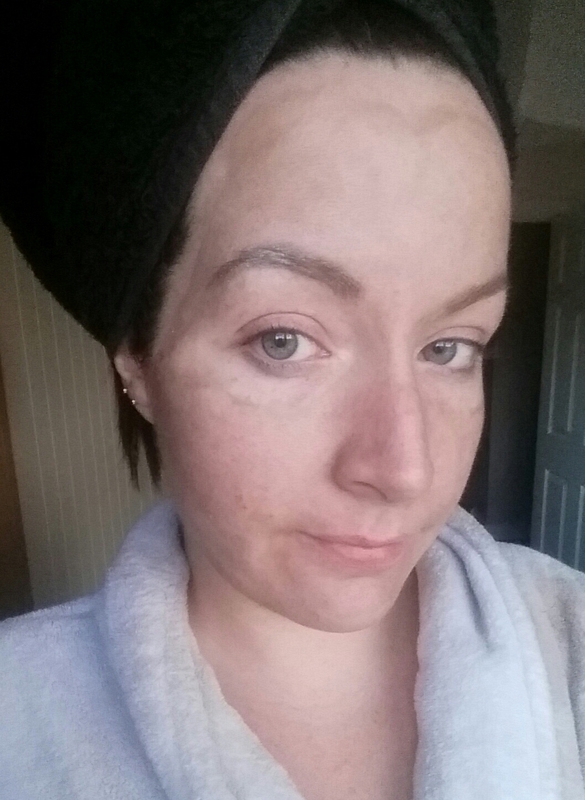 I have no foundation on and already you can see a difference. 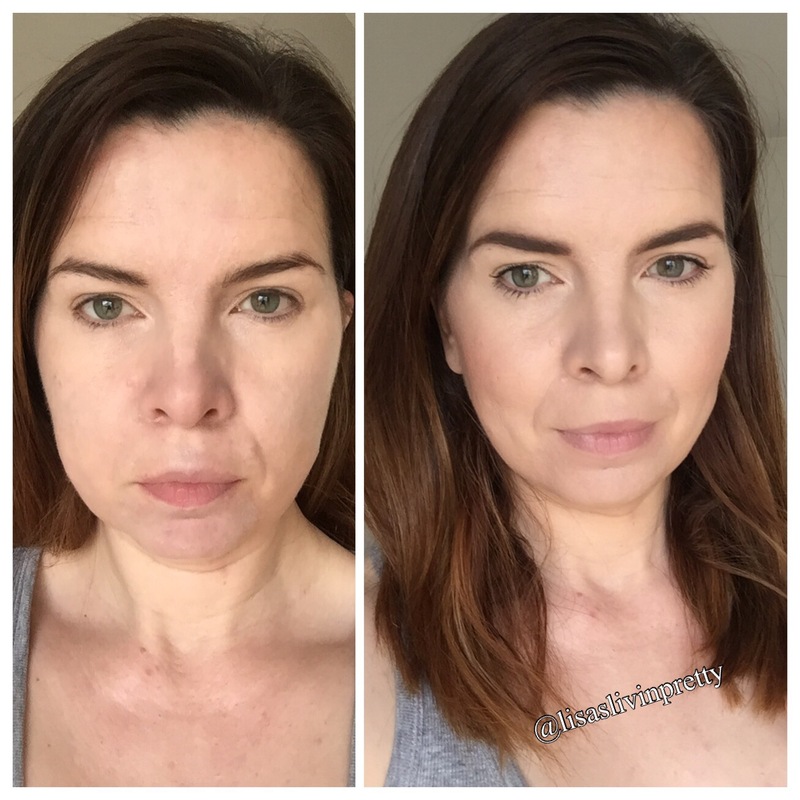 The Right picture is the completed look with my usual face routine apart from eyeshadow as I wanted the focus to be on the skin. So ladies and gents you can see how correcting can give you that appearance of flawless skin. 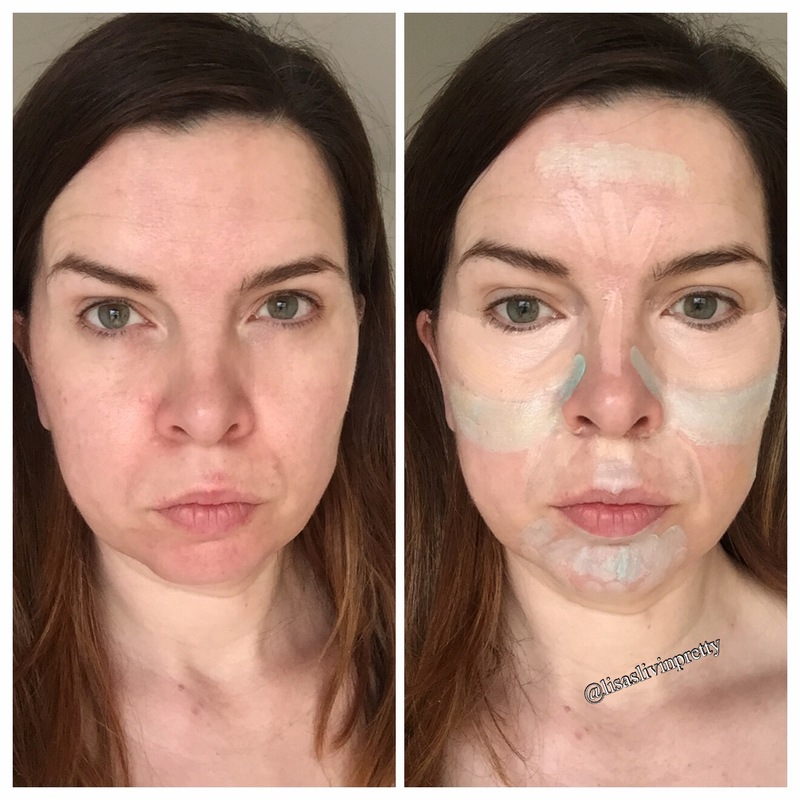 I hope this post has been somewhat helpful to you and gives you a bit more confidence to try out this concealing technique. The reason I didn’t list so much brands is because I have only ever used the Catrice products and I didn’t want this post to be focused solely on selling a product, but more to give you a better understanding of how to apply the products. So no matter what brand you are using the technique is always the same. I really do hope this helps any questions you can message us on facebook at Lisas’Livin’Pretty or snap us @makeupbylisa or @lisabeth-86 we will always reply. We would love to hear any feedback from this post so let us know how you get on. Happy Monday to you all! So yesterday myself and Lisa Moore took to the road and had a well deserved girls day out! 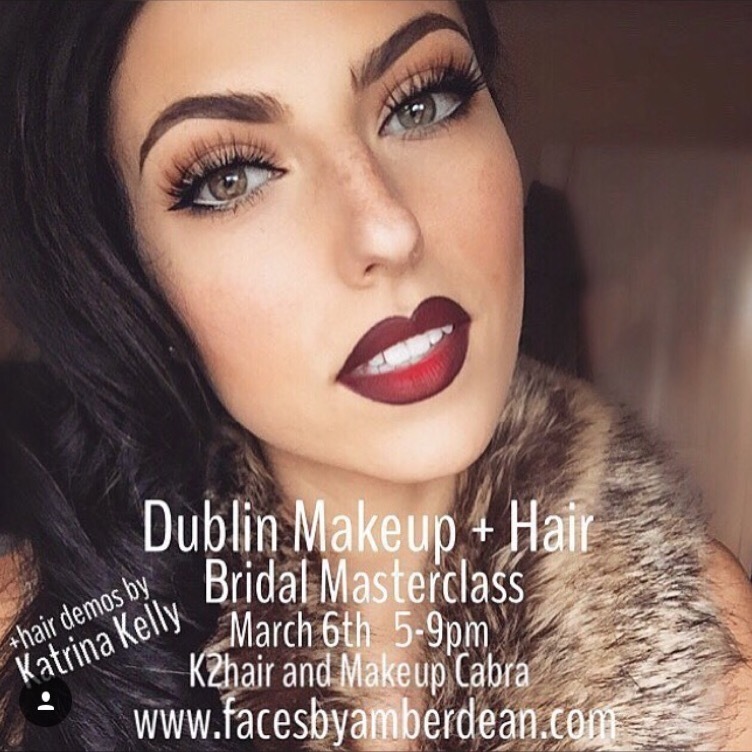 We both attended the fab Bridal Makeup & Hair master class hosted by Katrina Kelly for K2Har / Push Makeup and Amber Dean from facesbyamberdean. Both of these ladies are among some of our favourite talented ladies that we both follow so when this masterclass was announced we were all over it! 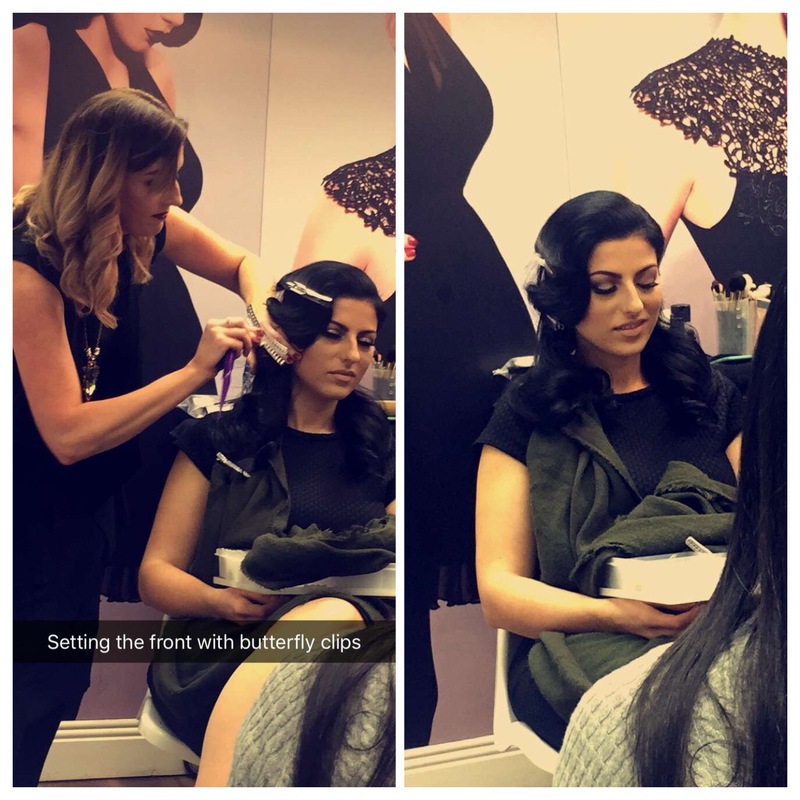 As makeup artists already its great to always keep up-to-date with trends, this is why we love to attend such classes like these. Even though we know an extreme amount about makeup etc… there is always something that you might pick up on whether it be a new technique or a new product. No matter what you do or know there is always something else for you to learn. Amber Dean is one of the best makeup artists out there and for me she has such a distinctive look to her makeup, I suppose its like a trade mark, you know when someone has been ‘Amberfied’!! She is such a sweet lady and I was really inspired by her and motivated to really bring out my creative side. What I like most about Amber is how down to earth she was and so approachable. This class would be especially perfect for someone starting out in the makeup field as she runs through all her products, kit essentials and must-haves definitely keep any eye out for further classes as this is one not to be missed. Amber is also on snapchat @itsambermdean for those that want to see what she gets up to (bascically stalk)!! 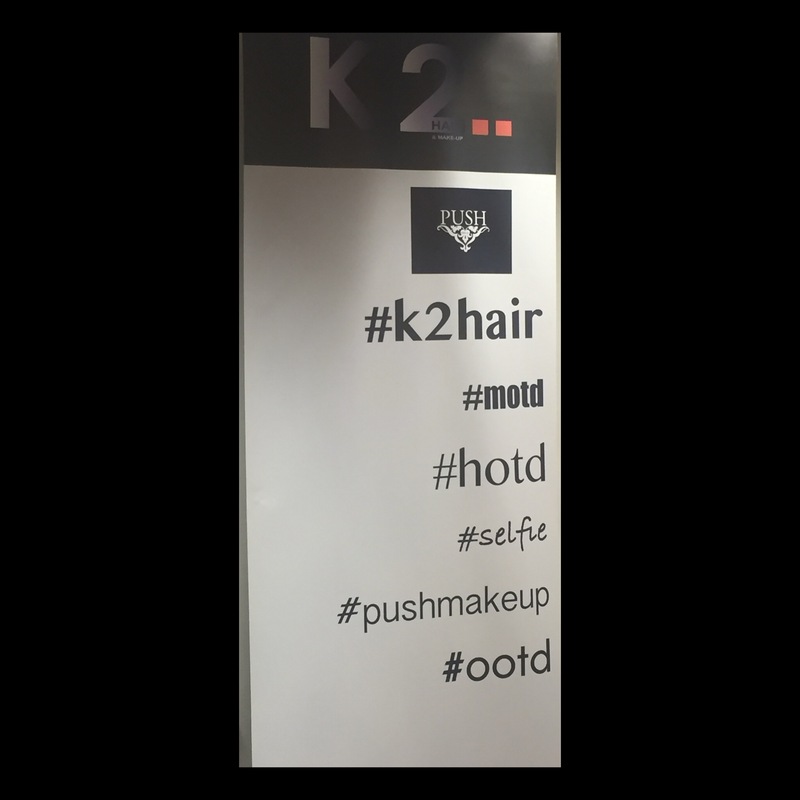 When we entered K2Hair we were greeted by the gorgeous Katrina and Amber who both looked amazing might I add. We have been following Katrina and Amber on snapchat forever @katrinaK2hair so to meet her in person was great as we felt like we have known her for so long through her tell all snaps which are lol! She is a wonderful character to be around, very talented and extremely knowledgeable in her field. 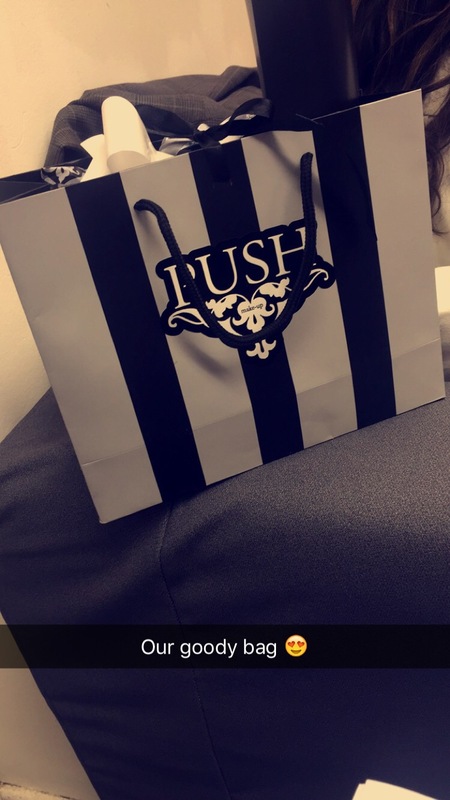 Katrina is the owner of K2hair which is based in Cabra and Glasnavin she is also the creator of Push-Makeup which I have been adding to my makeup kit collection as some of you may have seen on my snap chat recently. And I can honestly say that I am mad about, but anyway that’s another post. We had a fab goody bag or OSCAR bag as Katrina calls them and my were we spoilt with some fab products inside! 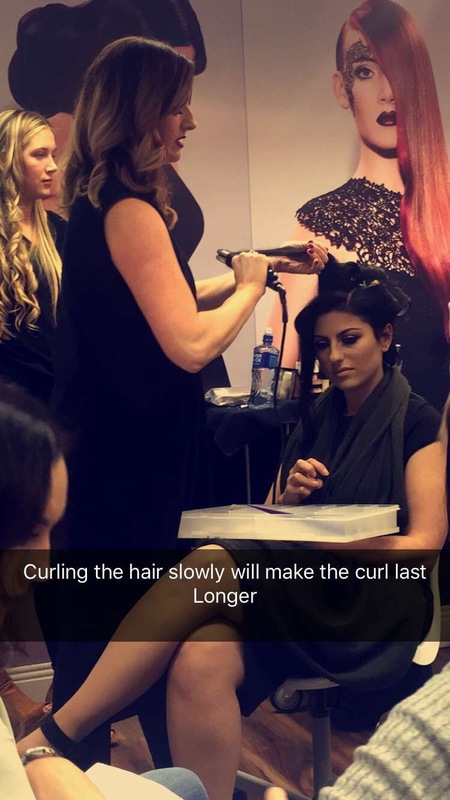 The first of five demos to take place started with Katrina who showed us the very popular and most requested hair do ‘Vintage Waves’. 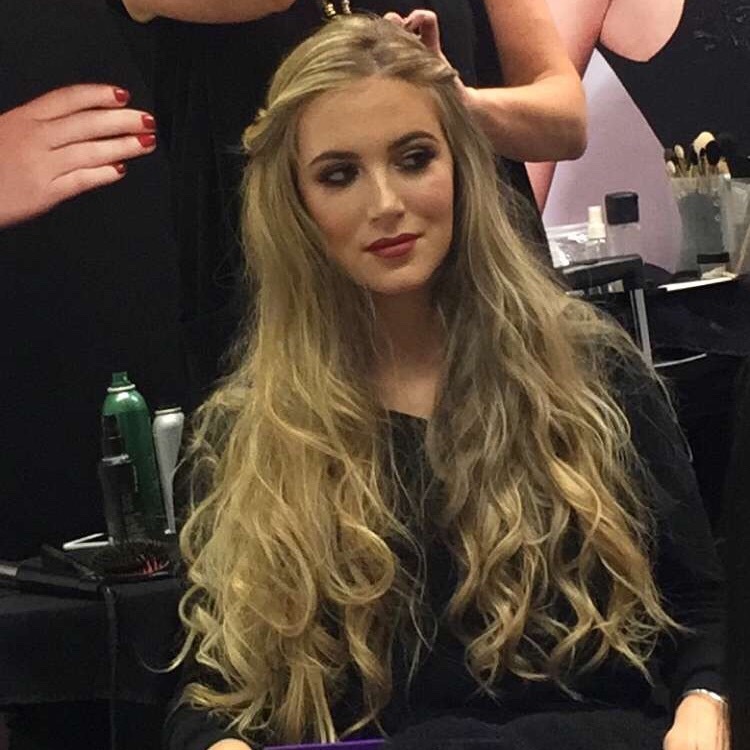 Katrina used Amber as her model and showed us step by step how to create this look using the Tondeo Cerion Curve to perfect the vintage waves. This can be purchased for €120 and can be ordered by contacting K2hair directly! Katrina swears by this hair tool for smooth curls without that dreaded pulling on the head when been used! We then moved onto Amber Deans first bridal demo. The look Amber wanted was a bronzed beachy bridal look and that she did! The look was flawless due to the great skin prep that I always harp on about. Skin prep is so important to a flawless makeup application and Amber really spoke so well about this and key products on how to perfect the skin. I loved this look it was so simple but yet captured the exact bridal look that Amber wanted to achieve. With Katrina adding her beachy wave hair style to complete the look! To create this type of beachy wave you simply curl in different directions this way the curls will not marry into each other to form one big curl! 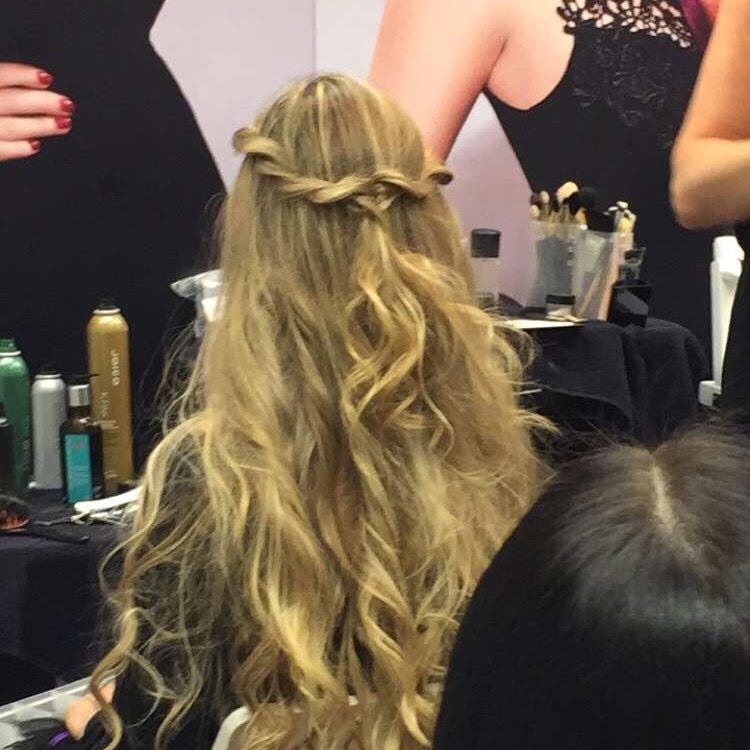 Using the Joico Hair Shake to give a little texture to the look . I have this product and adore it, its exactly as Katrina said, “its kinda in between a styling product and a dry shampoo but not as white as a dry shampoo, it will expand the hair” which basically gives texture to the hair. The next look came from Amber which was another bridal look with a bit more of a dramatic twist. This look would be for more the funky bride that wants something a little edgier for her big day. 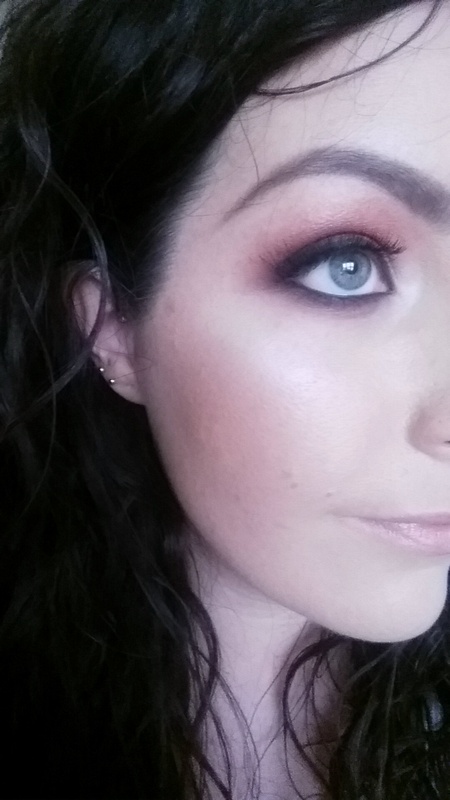 The dark smokey eye with the inner v liner and flick topped with a beautiful pigment from Inglot, this look was amazing and really pulled out Amber’s makeup artists talent. The technique Amber uses in her makeup is definitely something that I will learn from and hope to practice with my own clients. Like I said at the beginning you can always keep learning! 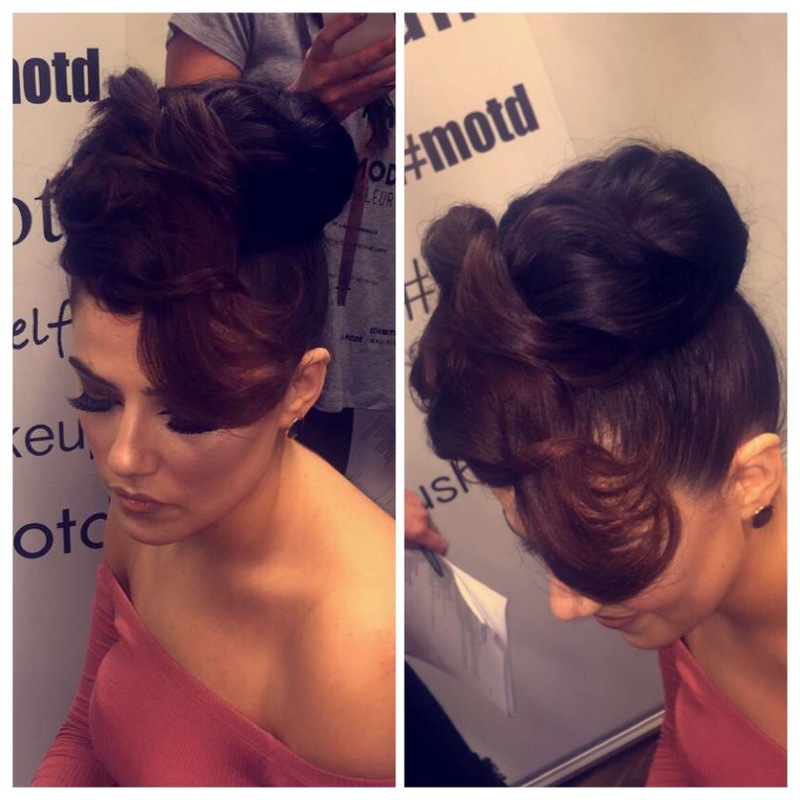 The fifth and final demo of the night was by Katrina who created this badass hair updo using padding to create this funky bun style with a twist. At first we were like what the hell is going on but again Katrina pulled off a beautiful creative style in probably 5 minutes! So that’s what we got up to yesterday. It’s so nice to attend classes like these, you get to meet new people and discuss topics such as makeup, hair and more with girls that have the same passion as you. I would highly recommend any future classes that these duo hold. A very down to earth chilled out evening with Katrina Kelly and Amber Dean is a must for all you hair and makeup enthusiasts out there. This will more then likely not be the last that we will be seen these two ladies! Thanks for reading and hope you felt like you were part of this class to! Looking at these side by side they are very, very alike. They both have a grey muddy appearance, the same scent and the 50g jars are similar. 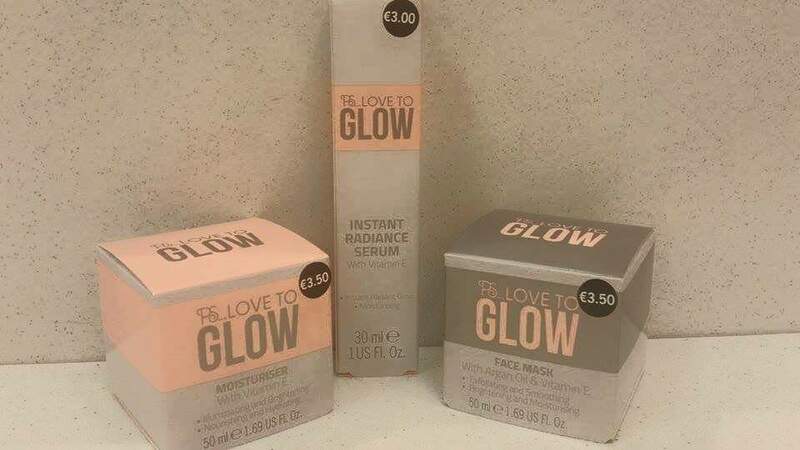 The Penneys one is slightly lighter in colour and doesn’t have the “bits” in it like the Glamglow has, that’s the only noticible difference at first glance. Time to put it to the test…. 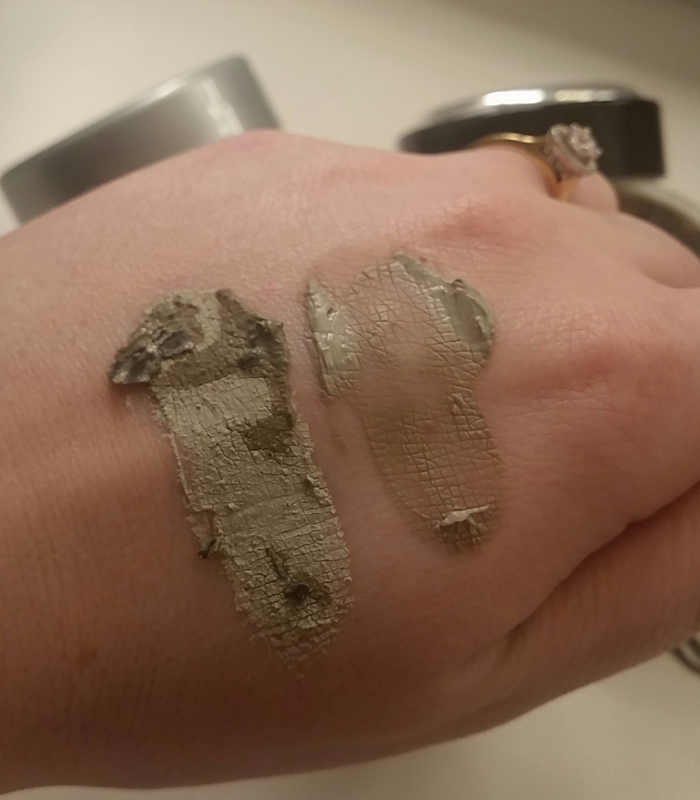 On application the texture is less clay-like than Glamglow, it has more of a creamy or gel texture and it kind of disappears into my skin, I had to apply two layers. I get a tingle on my skin with the Glamglow which the PS Love To Glow doesn’t give. It still felt nice on the skin and I left it on for the recommended 10 minutes. 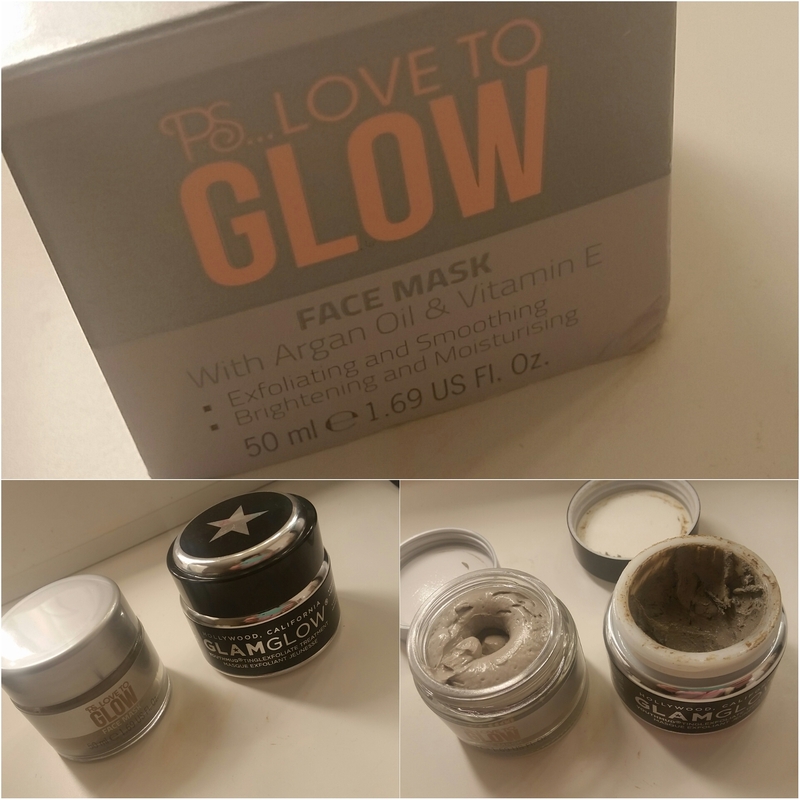 To get the exfoliation benefits you have to wet it and massage it into the skin the same as Glamglow and at this stage I couldn’t find any difference between the two. 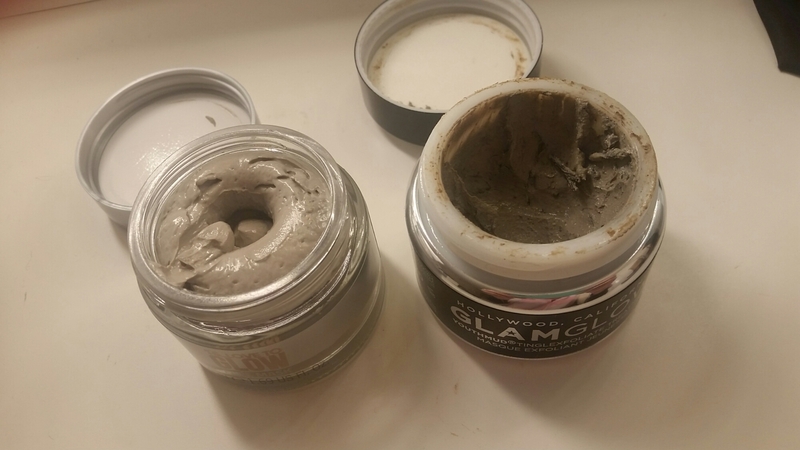 What I love about the Glamglow is that it’s really gritty and gives a great exfoliation. I was a bit dubious about whether our Penneys bargain would live up to it but I needn’t have worried, It’s super gritty and worked a treat. I did a quick check on the the ingredients and they do have some of the same ingredients. However the Glamglow has way more natural ingredients (volcanic minerals, green tea leaf, cucumber etc.) which are beneficial to the skin. Saying that though the Penneys one does have some aloe juice and shea butter so some great skin nourishment there.